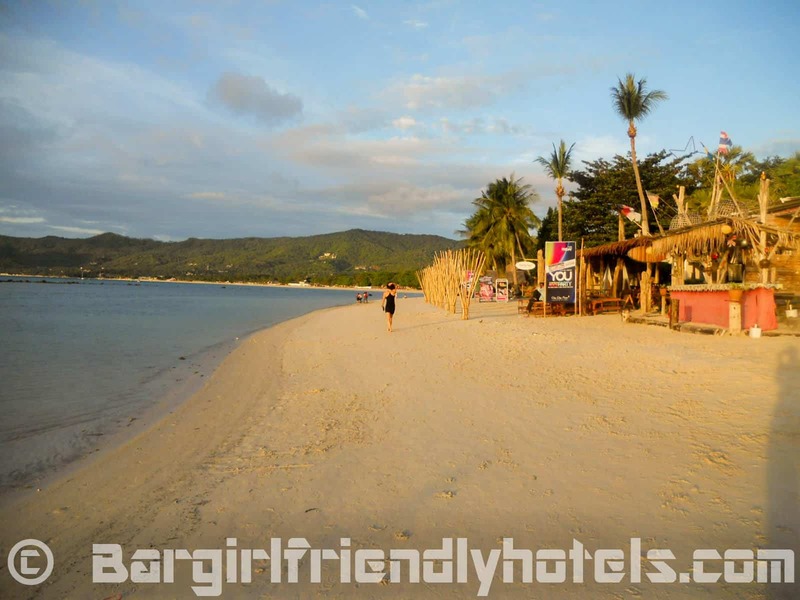 The bar girl friendly hotels stated in this list are all found along Samui’s most popular beaches: Chaweng and Lamai. These are very popular with like minded visitors so you shouldn't experience too much gawking as you come and go. All offer great value for the money and good service while the rates themselves can greatly vary from budget to 5 star luxury. Where is the action at? 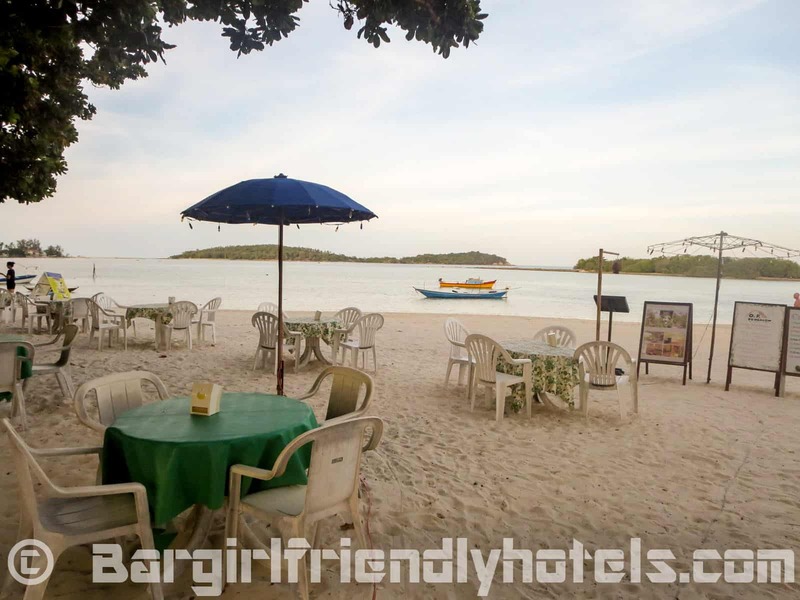 In Chaweng you will find all you need along the 3KM long beach road. 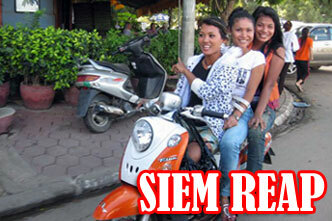 The main concentration is found in Soi Mango, Soi Starbucks and on the way to Chaweng lake in Soi Reggae. Lamai's has a lot of it's girly bars galore along it's main street in Lamai Variety Center, Soi Macdonald's, Lamai Night Plaza and Beer Bar Central. 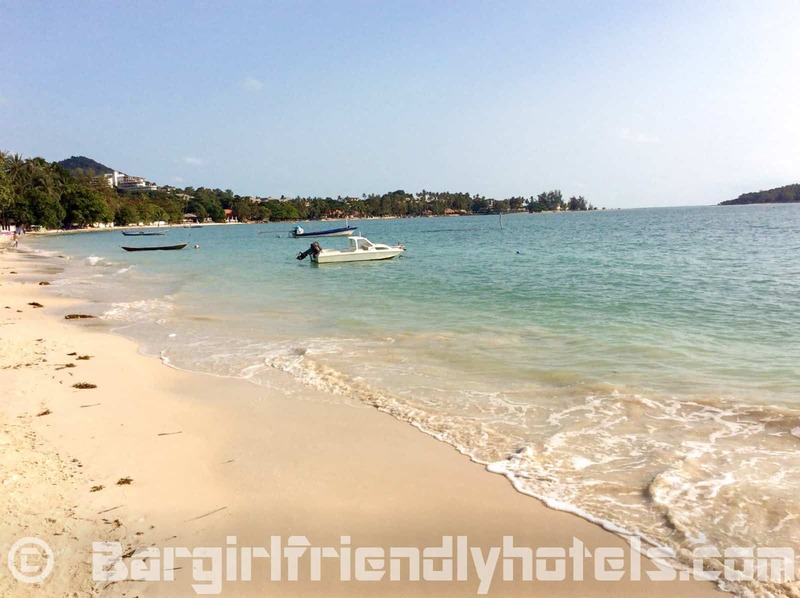 But just what is a Samui guest friendly hotel? 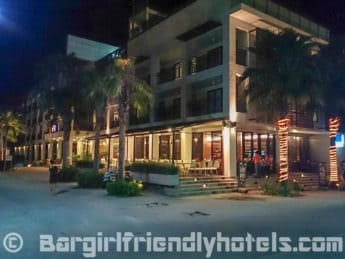 A hotel that is considered guest or bargirl friendly simply means that the joint won't charge extra for taking back an unregistered guest back up to your room at night. 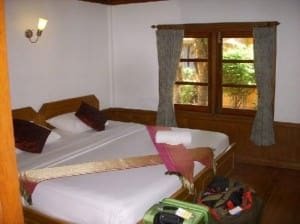 A joiner fee can cost anywhere around 500 to 1000 THB a night but could be even higher depending on the hotel. 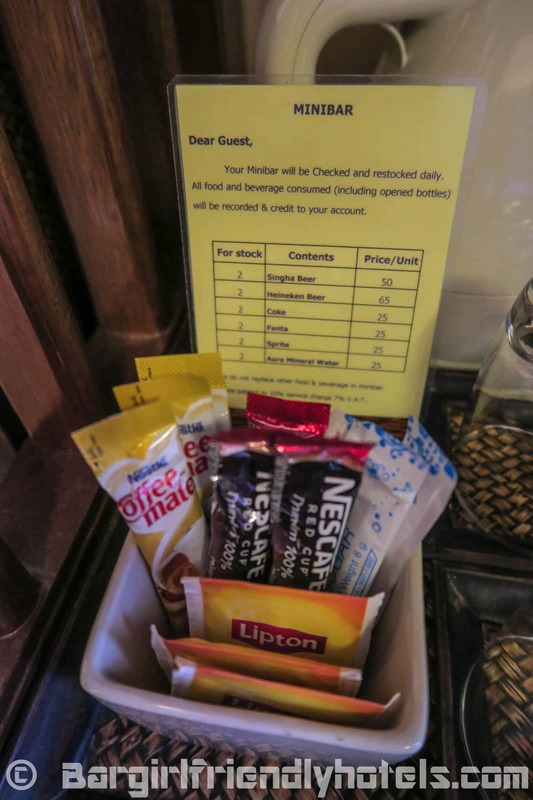 So if you unknowingly book a non-guest friendly hotel and plan on taking a guest back up to your room everyday for a week then you’re going to be paying a lot more money unnecessarily. This is by no means an indication of their respectability as each hotel has different policies as long as you’re somewhat discreet. Since I only travel around once a year in Samui, I haven't visited that many establishments but did my homework and taken the time contact personally everyone on this list to make sure about their joiner policy and have given their reply with the hotel description. The location of Al's Resort is really spot on! 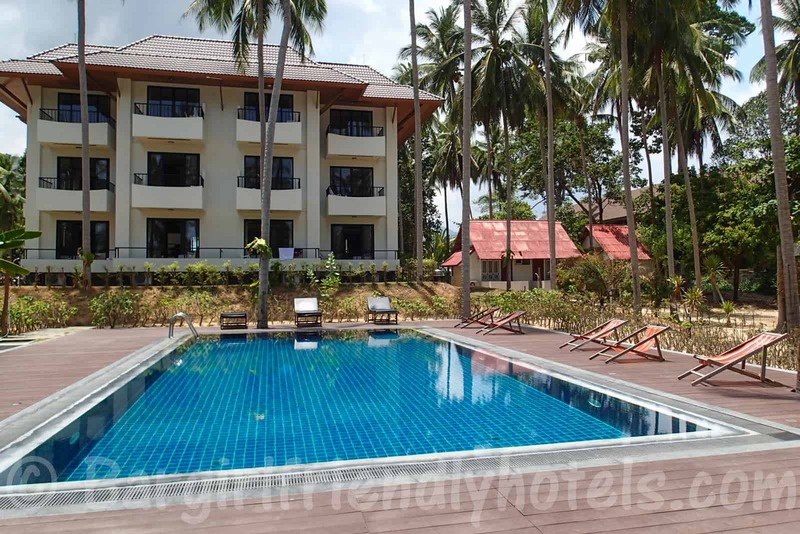 First you got the nightlife almost at your doorsteps with Soi Green Mango (Samui's equivalent of Phuket’s Bangla Road) less than 5 minutes walk away, then the great beachfront location with pool and swim up bar overlooking the sea. Guests only deck chairs are also available right on the beach for those of you who find swimming in the sea more attractive. 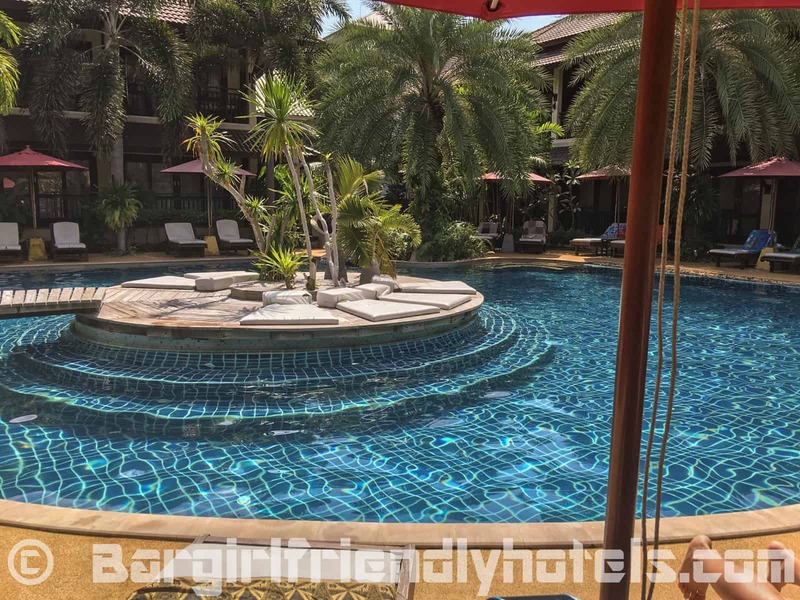 The resort which is rather big with just under 100 rooms also has another smaller pool at the courtyard. At 25 sq.m the deluxe room I booked was a little on the small side but clean and equipped with all the essentials: Good bed, older generation TV, mini-bar, A/C, free Wi-Fi, electronic safe, coffee/tea maker and a bathroom with a hot/cold shower with a selection of free toiletries by the sink. 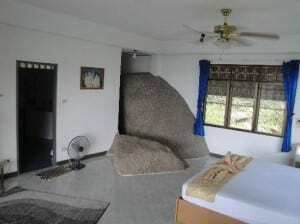 The housekeeping staff did a good job and was unobtrusive. Resort is very girl friendly, no issues with security taking back this freelancer from Green Mango Club. Date Last Visited: Pictures were taken during my last visit in April 2014 and reflect their cheapest room on offer the: “Courtyard Deluxe“. Guest Friendly policy reply by the Al's Resort: "Dear Sir, greeting from Al's Resort, no charge joiner kha. Regards, Tip". 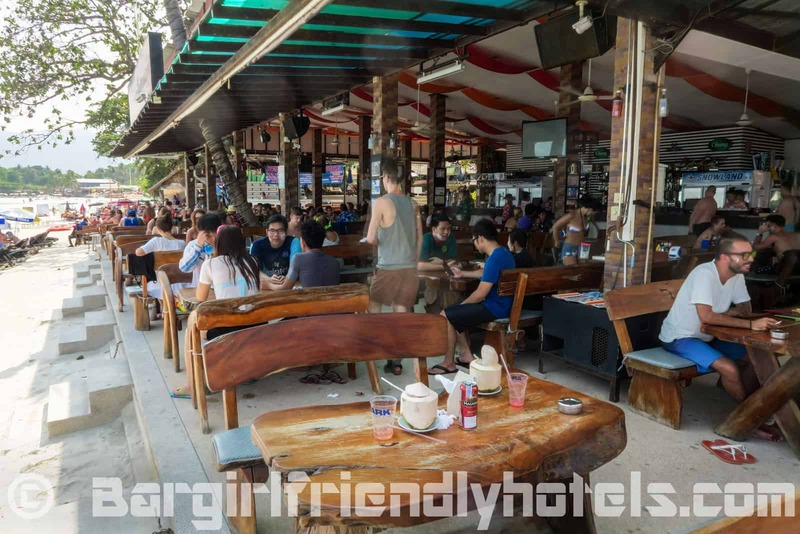 The Ark Bar Beach Resort has a very energetic atmosphere that attracts a young crowd, their beach bar is the busiest on Chaweng beach. Daily pool parties with DJ start at around 1PM and the whole place turns into lively beach club after dawn that goes on late into the night. Featuring 300 rooms right by the sand, the resort facilities include 3 pools of which 2 have swim-up pool bars and 2 beachfront restaurants that offer an impressively thick menu of food and drinks. 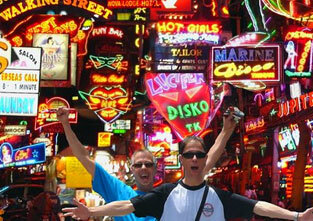 Located at the center of the night life, you are only minutes away from Soi Mango. Wednesday & Saturday are the main party nights where you see crowds flocking from all over town to the Ark Bar. Staff is friendly and efficient, speak good English and do their best to make you feel at home. 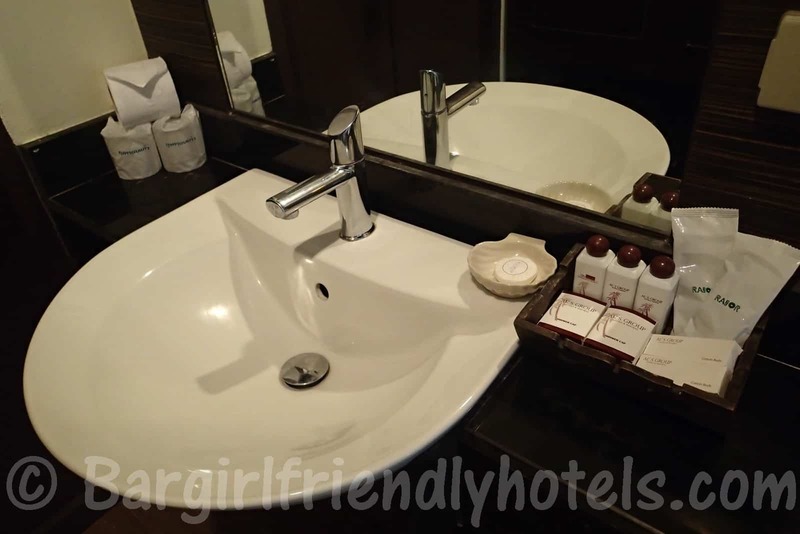 I stayed in their Premier Deluxe this trip, rooms are ok for the price considering the prime location, nothing like 5 star but very clean with modern decor and fittings and at 30 sq.m you definitely don't feel as tight for space like in their Superior & Deluxe category. Amenities include everything you need: queen size bed with sofa on the side, large 40" flat-screen television offering an excellent selection of channels, free Wi-Fi, fully stocked mini-bar, small safe, free tea and coffee making facilities, good A/C, small work desk, decent storage space and big sliding glass doors that give way onto the room balcony. 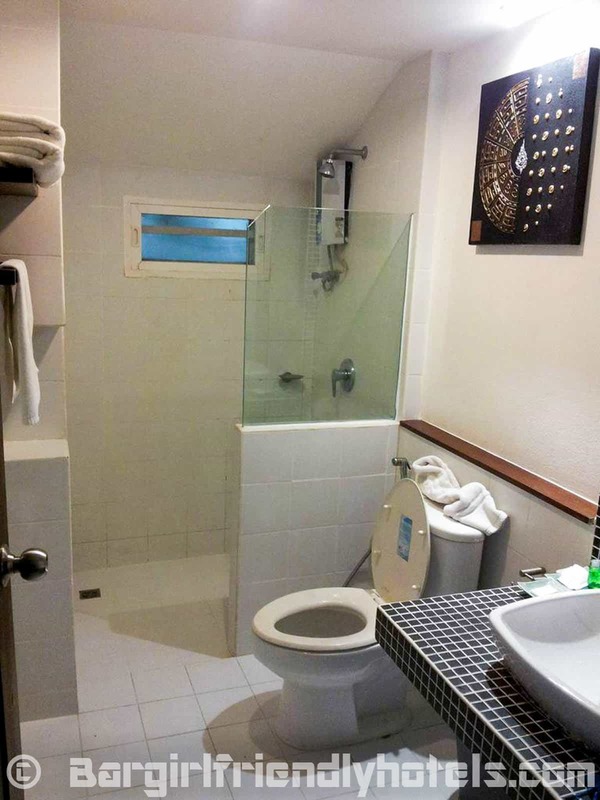 Bathroom is clean and has a shower corner with a good selection of free toilet provided. 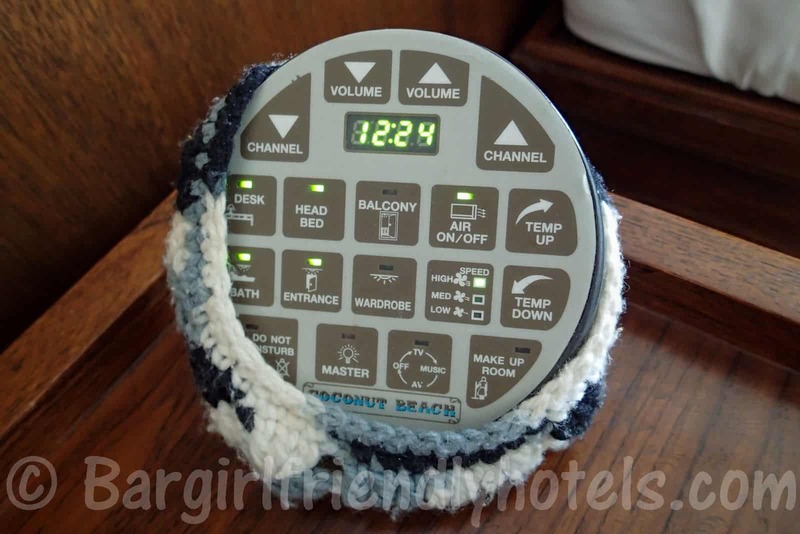 Little tip: On arrival ask for a room far enough from the beach end unless you don’t need sleep before 2-3AM. Date Last Visited: Pictures were taken during my last visit in April 2016 and reflect their 2nd cheapest room on offer the: “Premier Deluxe Double“. Guest Friendly policy reply by the Ark Bar Beach Resort: "Dear Guest, Thank you for your inquiry. If you come alone and you bring 1 joiner then there is no charge. But if you come 2 guests already then bring 1 more you have to pay. Kind Regards Jenny Reservation". 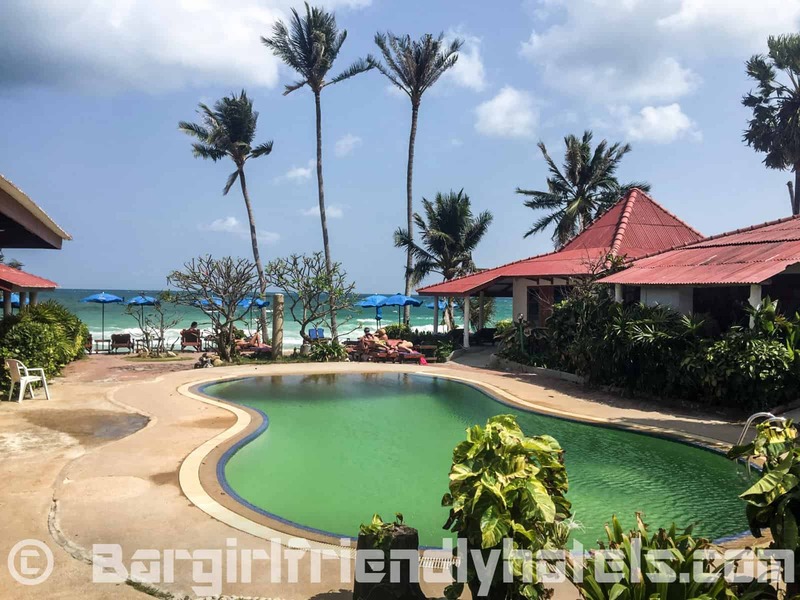 The Chalala Samui Resort is located at the quieter northern end of Chaweng beach about 10 to 15 mins walking distance from the main nightlife area. Sandwiched between more expensive resorts the place is well ran and very picturesque with a dozen or so bungalows that look a little bit like the Smurfs village. 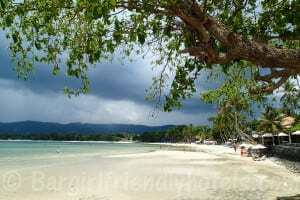 The resort grounds are kept clean, pool area is nice and their restaurant on the beach was inexpensive with good food. 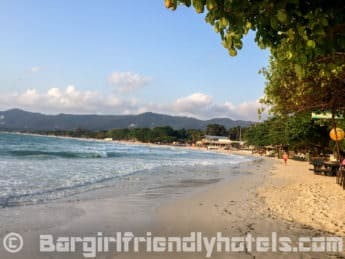 Regarding the beachfront, while very pretty the sea in Northern Chaweng is shallow so very hard to swim here all you'll manage to get is water up to your waist if you walk far enough. 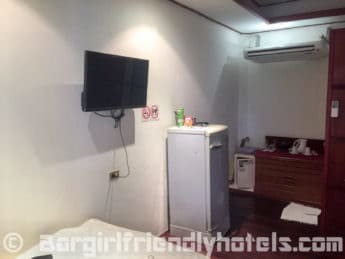 Rooms are basic but great for the price and perfectly functional with proper bed, A/C, living room corner with table and TV, fridge, safe on bedroom table, free Wi-Fi and, hot/cold shower in the bathroom with free toiletries besides the sink and a terrace to hang outside. 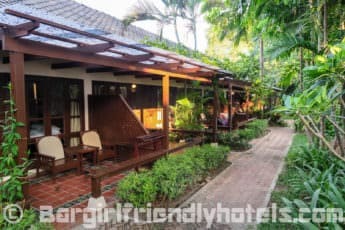 Staff was very friendly and while I stayed here only two days I didn't have the slightest problem bringing back a different bar girl back every night so the Chalala Samui Resort is very girl friendly indeed. 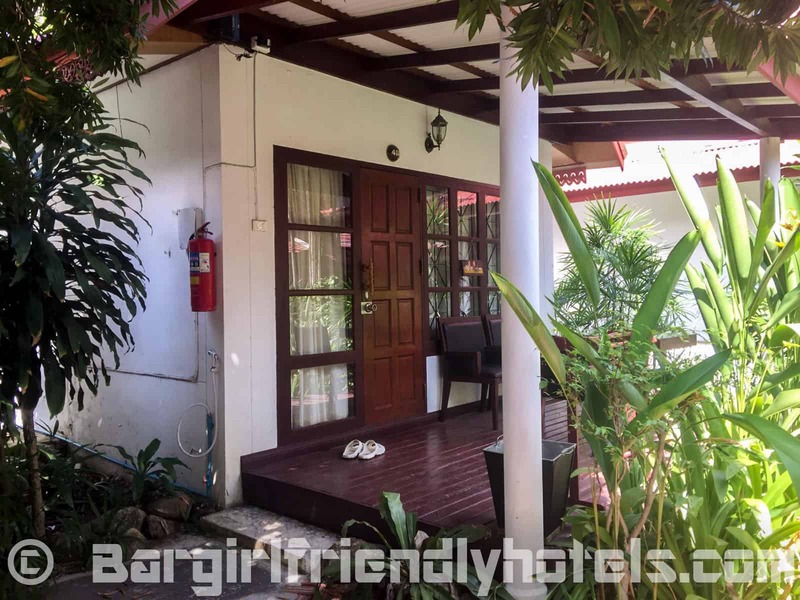 Date Last Visited: Pictures at the Chalala Samui Resort were taken during my last visit in April 2014 and reflect their cheapest room on offer the: “Garden bungalow“. 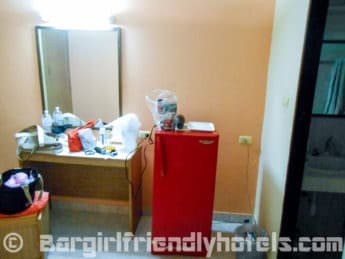 Guest Friendly policy reply by the Chalala Samui Resort: "You can bring woman to your room and come in to hotel is free of charged but you have to be responsible in case that she do some trouble. Have a nice time. Best regards, Jazz / Receptionist." 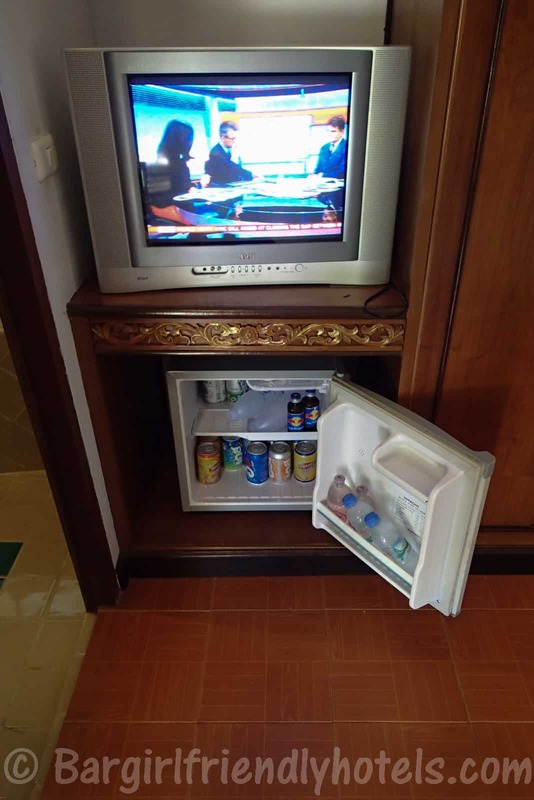 Budget hotel with very little facilities, no pool or restaurant but not much of a deal as the beach is a stone`s throw from the hotel anyways. A little under 10 minutes walk to the beer bars of Soi Reggae and 15 min to Soi Mango. 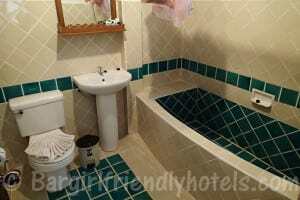 Rooms are very decently sized with a king size bed in it, big walk in shower with tiles with pebbles in the bathroom. 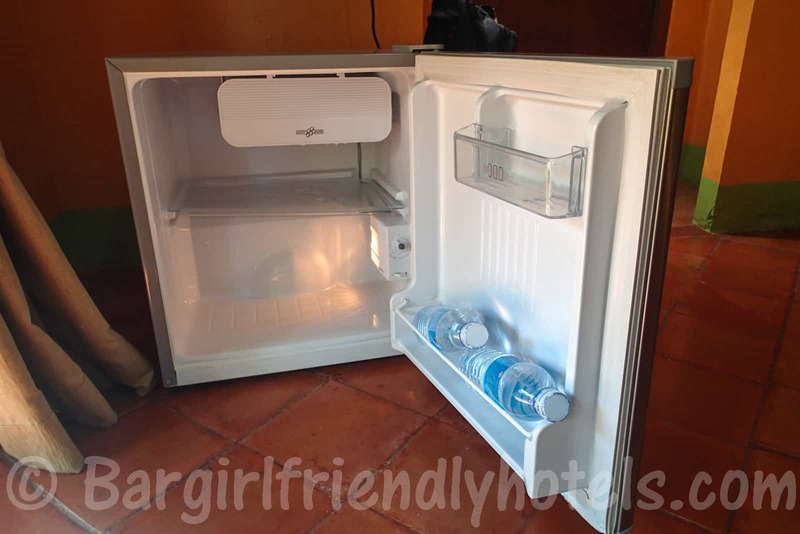 All the essentials are covered with A/C, TV, min-bar & fridge but that's where it ends. No towel rail or complementary water, coffee & tea, etc. 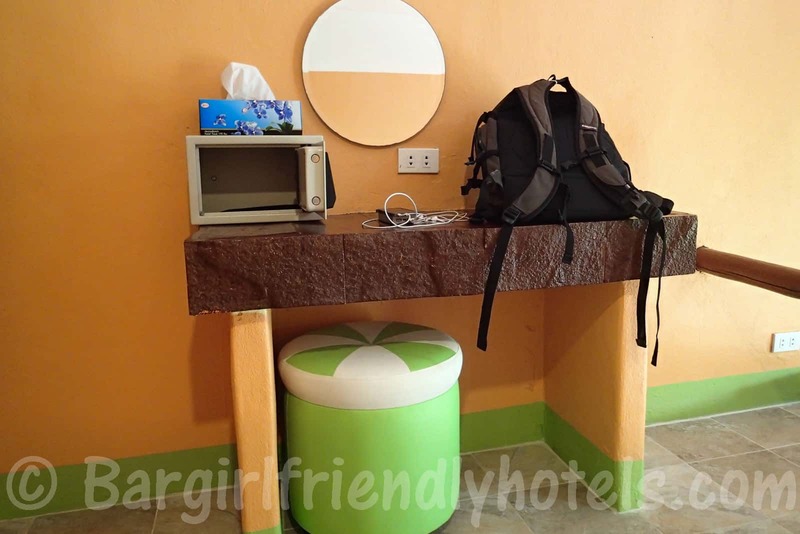 Can be a little rough around the edges but for still much cheaper than most other hotels in the area, not a bad option for unfussy or budget travelers. 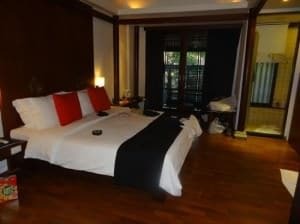 Last but not least the Chaweng Palace Hotel is very guest friendly and easygoing with overnight guests. 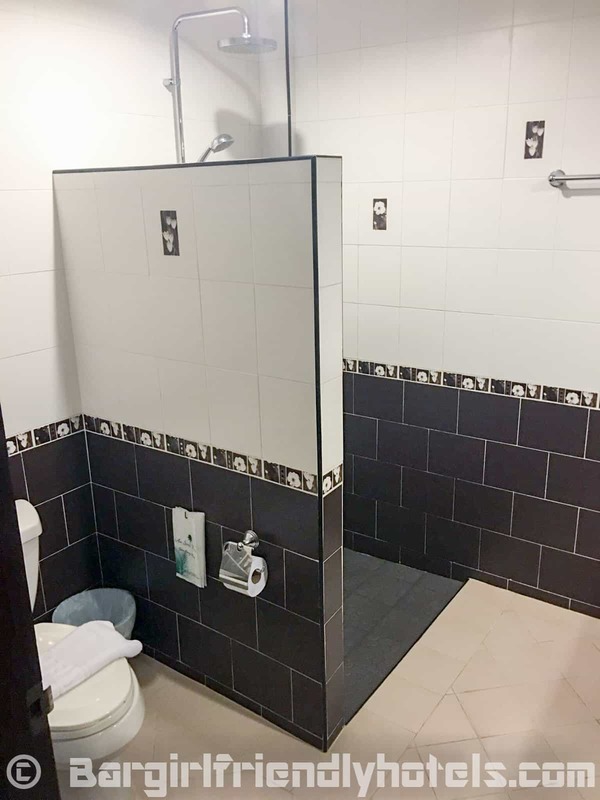 Date Last Visited: Pictures at the Chaweng Palace Hotel were taken during my last visit in April 2015 and reflect their cheapest room on offer the: “Superior Room“. 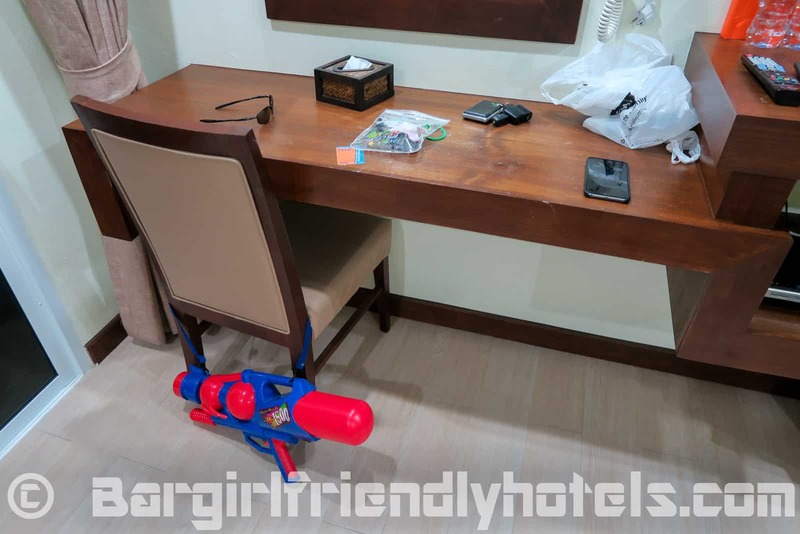 Guest Friendly policy reply by the Chaweng Palace Hotel: "Thank you for booking inquiry. 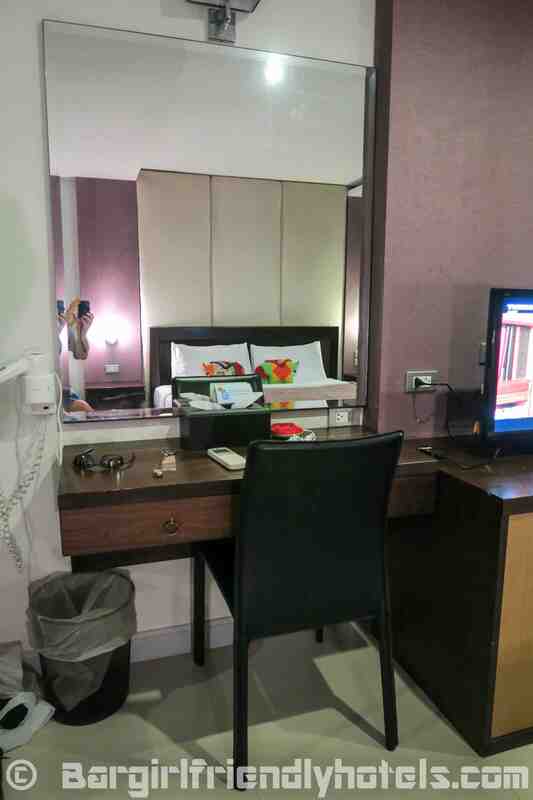 Our hotel have good service and good friendly. We are not charge for joiner. Best Regards Jenny ( Reservation )." 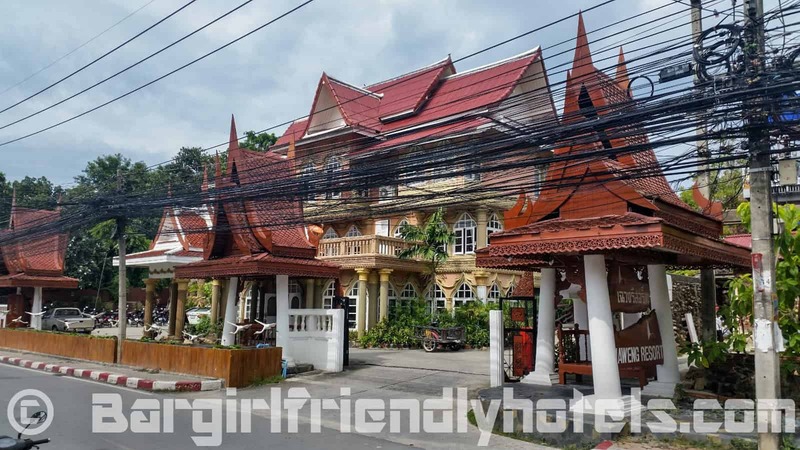 The Montien House Hotel has the best of both worlds in terms of location with the beach right on the front side and Chaweng's nightlife in the back, only a few minutes walk away from the mayhem of Soi Green Mango. 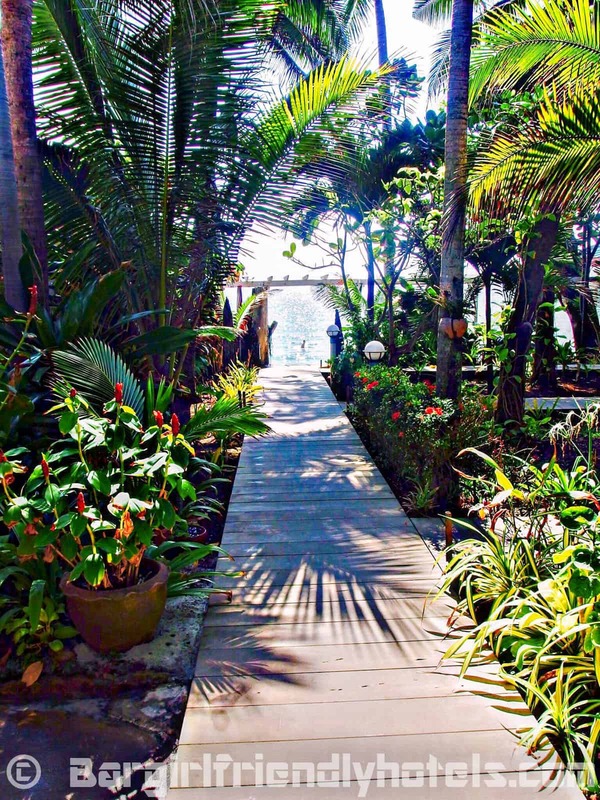 This is an older Resort surrounded by beautiful lush gardens where quaint little cottages with their own veranda are lined up on each side of the pathway leading to the beach amidst more plush villas with private plunge pools. The Deluxe, Deluxe Premium & Suite rooms are found in their recently completed three-story building and are more modern in design. The beachfront area is very relaxing morning, day or night with the pool, loungers and restaurant's terrace located right along the beach. The staff at the front desk staff were friendly and professional, no problems whatsoever bringing back bargirls at night, excellent service as well from the beach and restaurant area staff even though some lack a bit in English communication skills but no biggie. The Montien House has a wide range of room types and I settled for a Premier Deluxe in the new block, while you can get a deluxe room for about the same price along the garden path, I found them to be a little dated inside and the decor seemed worn out. 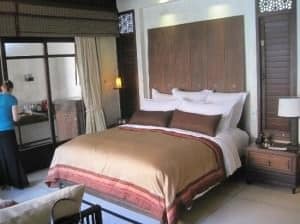 My Premier Deluxe room was brighter and much more modern, at 35 sq.m they are also pretty spacious. 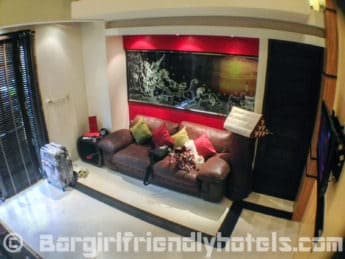 Amenities in the room include: A big comfortable bed with a quirky little seating area/single bed next to it, flat-screen TV, quiet modern A/C unit, small mini-bar, coffee making facilities, free Wi-Fi, small work desk, electronic safe in the wardrobe & small balcony (rooms on the ground floor do not have one). 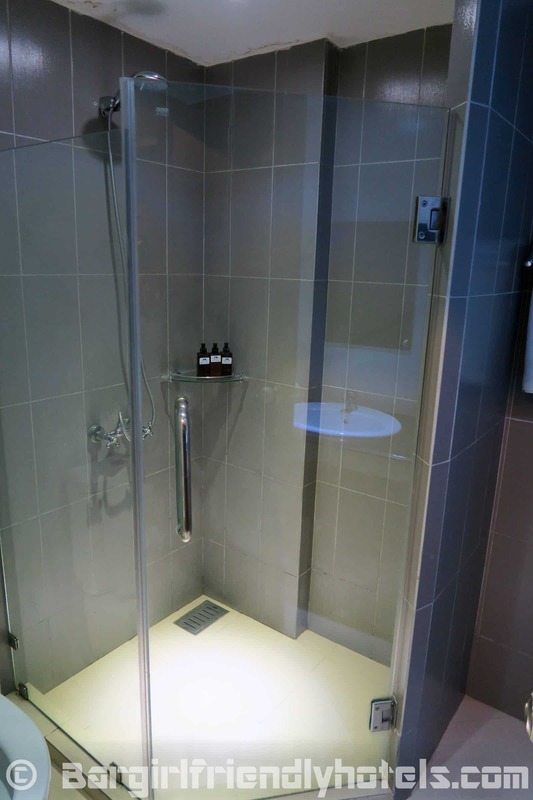 The en-suite bathroom was basic but nice with an enclosed walk-in shower & free toiletries. 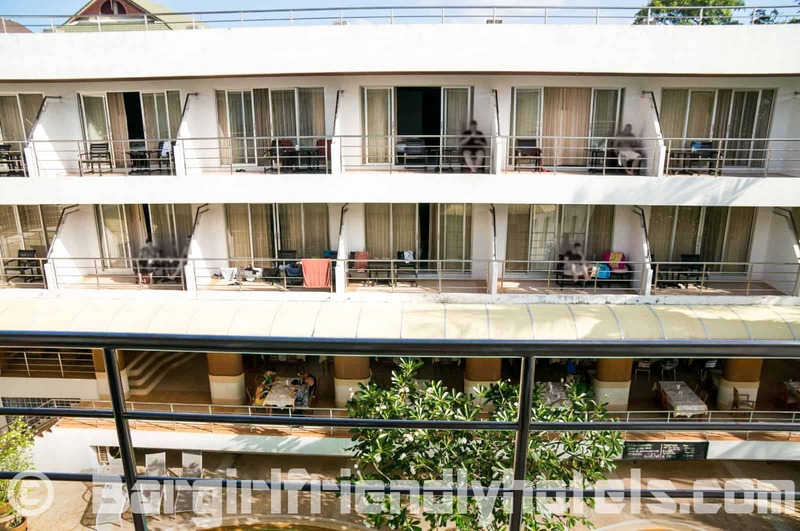 In the end the Montien House Hotel is not bad place at all with the perfect beach/nightlife location combo, as long as you're not expecting the glitz and glamour of a 5-star and you shouldn't be disappointed here. Date Last Visited: Pictures at the Montien House Hotel were taken during my last visit in April 2016 and reflect their cheapest room on offer the: “Premier Deluxe Building Room“. Guest Friendly policy reply by the Montien House Hotel: "Dear Sir Thank you for your e-mail. We not charge for joiner fee just keep her ID card with the night guard. 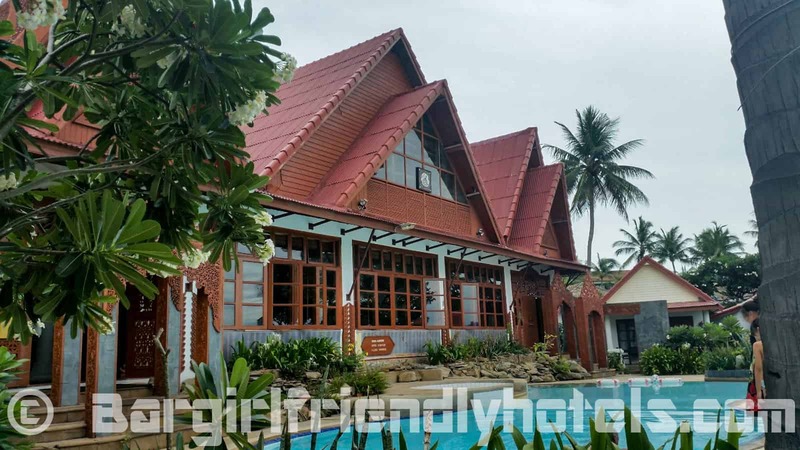 Looking forward to hear from you soon, Supawee Maliphol -Reservation Montien House"
Al's Laemson Resort is located on a small private beach about 200 meters from the Northern tip of Chaweng Beach. The resort is made up of around 80 little bungalow villas that have clean rooms and modern amenities. 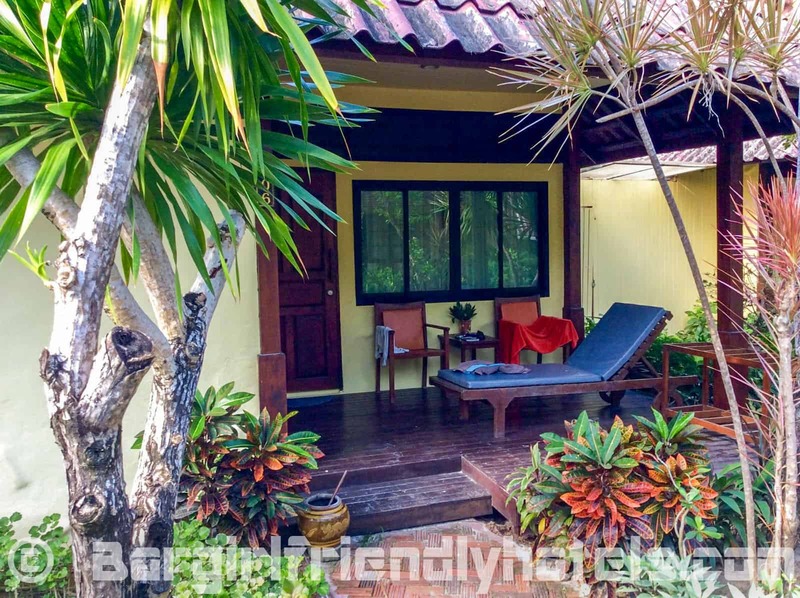 Great for those looking for a bit of privacy in a secluded area approximately 1 KM from the center of Chaweng. Guest Friendly policy reply by the Al's Laemson Resort: "Dear Sir, Thank you for interesting our resort for your vacation As per below mention you can take the girl from local bar to the hotel every night but you have to put ID card at reception with NO additional charge because we want to check when you have the problem but we are not pay any extra if you have the problem with them. Best Regards, Surasak Hongsaeng (Tum) -Front Office Manager AL'S LAEMSON RESORT KOH SAMUI". 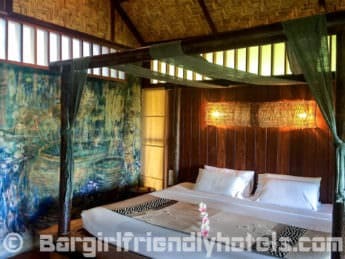 The Buri Rasa Village is a fabulous little boutique resort built in authentic Thai design located 3/4 down the quieter southern part of Chaweng beach, about 10-15 minute walking distance to the busy nightlife area. 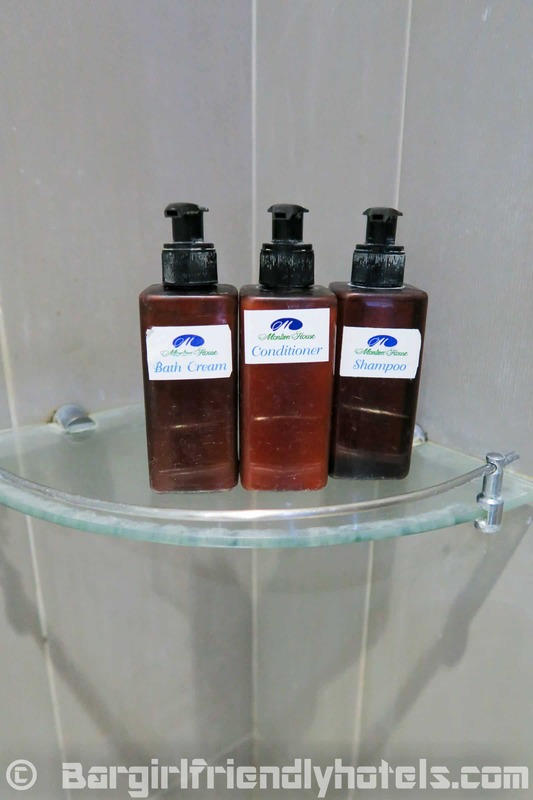 All the rooms have been newly built so they come equipped with the newest amenities. 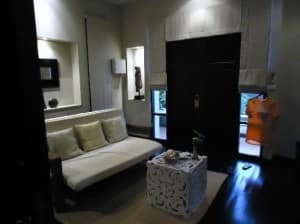 Even their most basic room had a beautifully decorated living room with a big bathroom and balcony. The infinity pool is not big but fine for the size of the resort and when it is only 10 meters walk away from the ocean who really need a big pool? 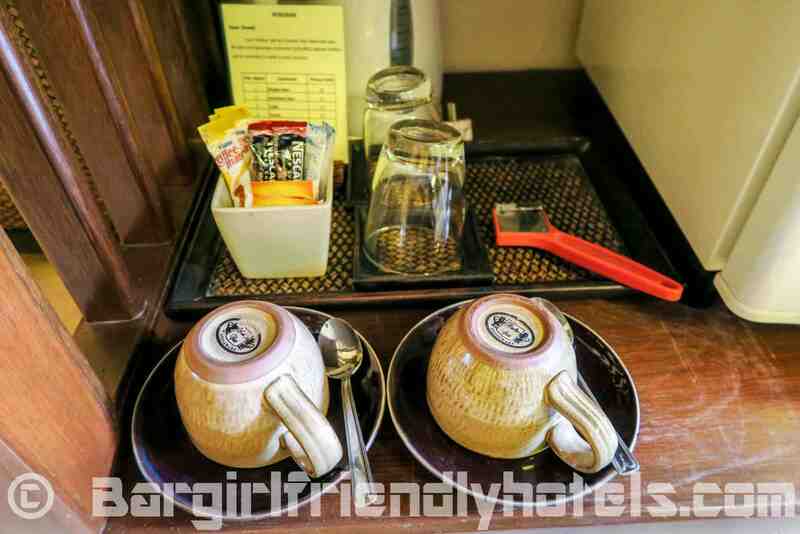 The highlight is the superb service which is most likely why they are currently rated #2 on TripAdvisor. Absolutely recommended! 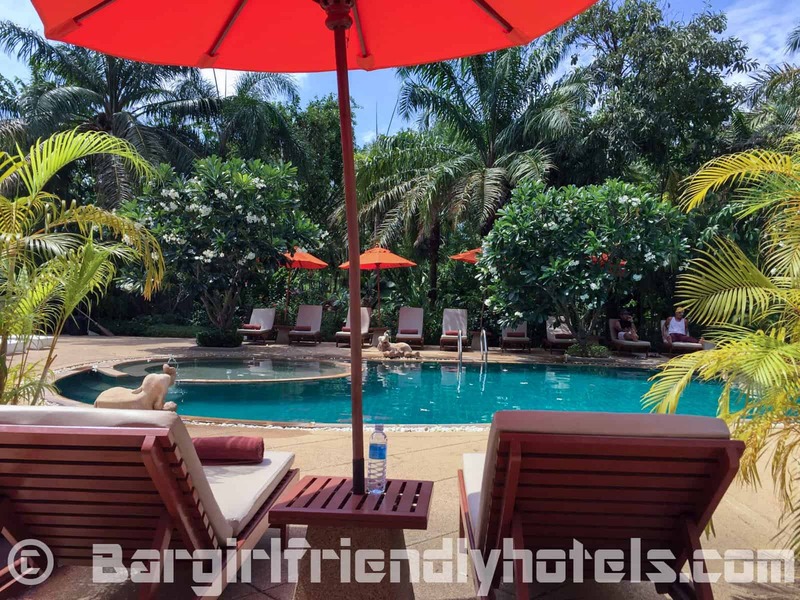 Guest Friendly policy reply by the Buri Rasa Village Hotel: "We are very pleased to inform that we allow to take a extra person to the resort and she can leave the ID card at the reception. Best regards, Ms. Supansa Bureemas (Joy) Assistant Reservation Manager -Buri Rasa Village Koh Samui"
Chaweng Gardens Beach Resort has a broad range of rooms ranging where the cheapest huts overlook the carpark and get the most noise from town, while those nearer to the beach are more private and quieter. 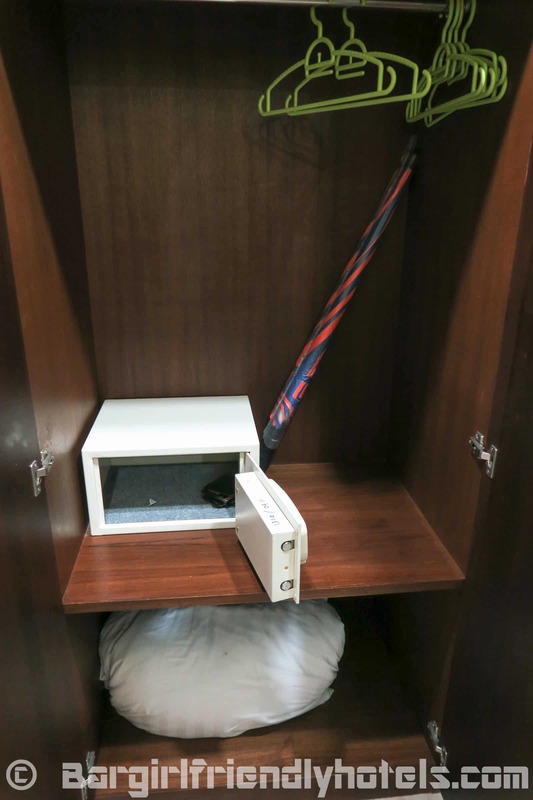 Rooms all offer a fridge, balcony, air conditioning and in-room safe. 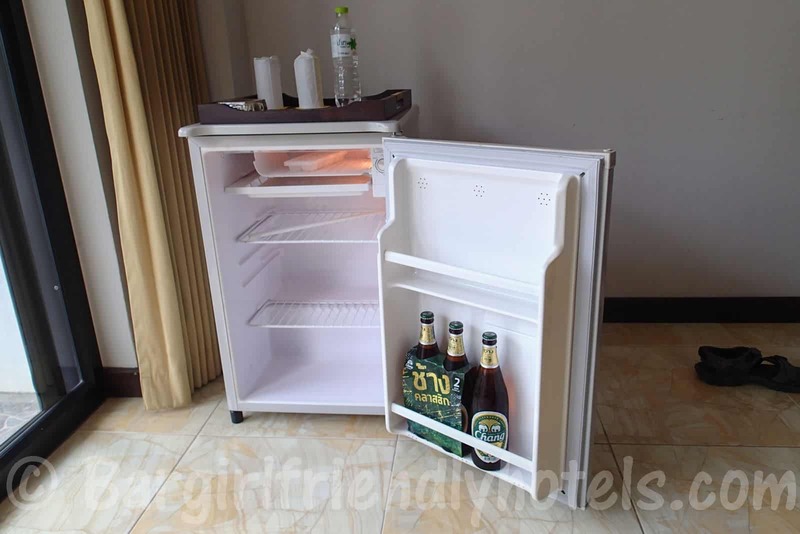 The hotel is located very near Soi Mango, where most of the beer bars and nightlife of Samui is. Cons: Wi-Fi signal inconsistent, planes fly very low overhead on their final approach to Samui Aiport. 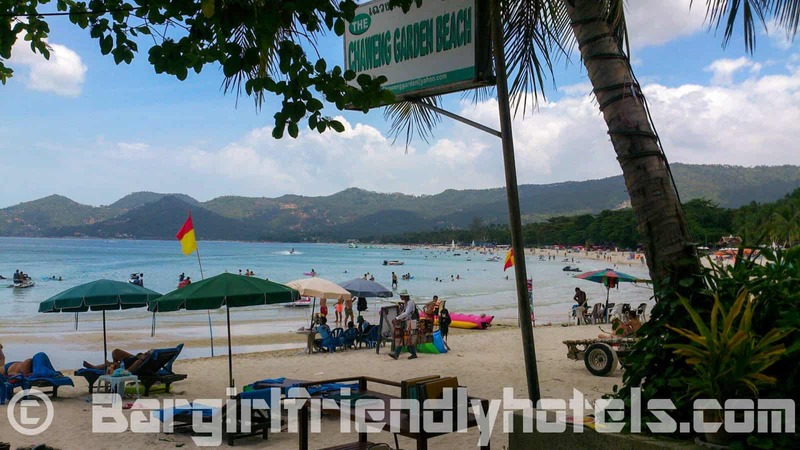 The Chaweng resort is located on the southern end of Chaweng Beach, away from the busy central area. It has 2 swimming pools with lots of sunbeds overlooking the beach. 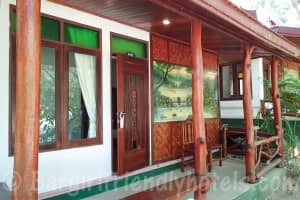 The little standard bungalow I rented was lovely, not 5 star but they are very clean and have the usual stuff: A/C, TV, big fridge, safe, etc. 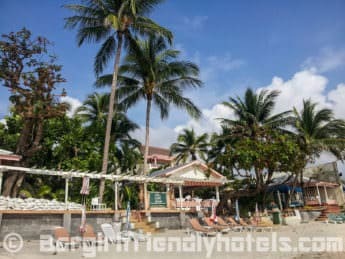 Guest Friendly policy reply by the Chaweng Resort: "No charge we just keep ID card, Thank you Thanya"
The Coral Bay Resort is located at the northern end of Chaweng beach about 10-15 mins walking distance from the main strip. 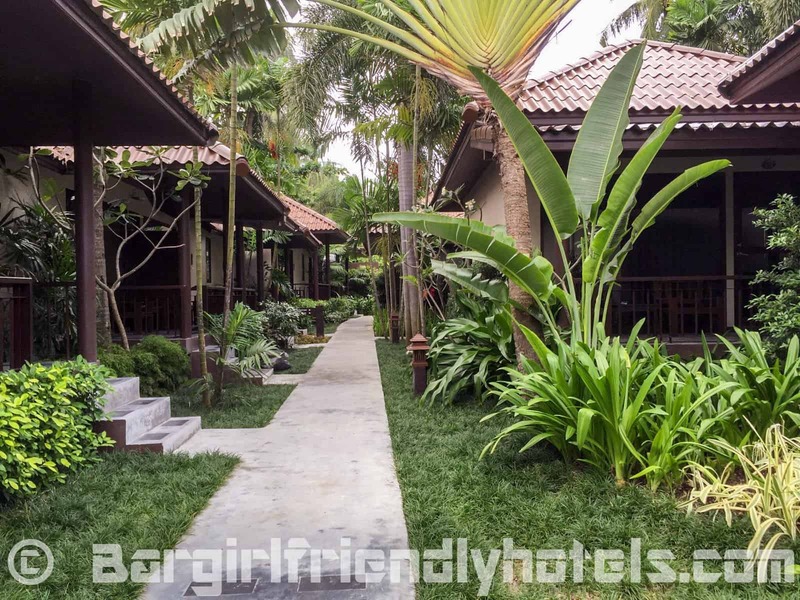 The whole place has a quiet and relaxed feel to it with beautiful gardens and a nice pool. Beach is OK but not a great place for swimming or watersports due to all the rocks and shallowness at low tide. 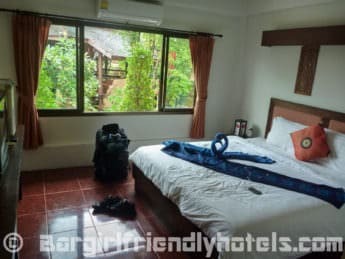 The bungalows are very spacious in typical Thai style with a massive 7 feet bed, day lounger, waterfall shower and big balcony all kept impeccably clean. Guest Friendly policy reply by the Coral Bay Resort: "We don’t charge as the rate is for two persons, for safety we have to ask ID card." 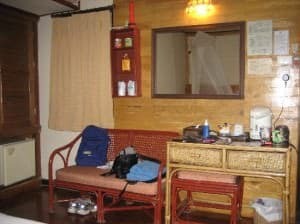 The rooms are basic but kept clean. The air conditioning worked well and there was plenty of hot water for the shower. 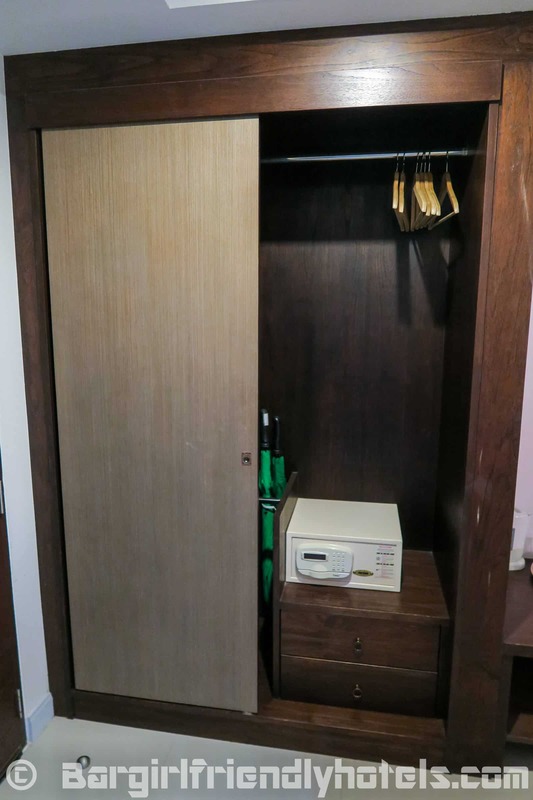 All the rooms all have an older generation TV, tea/coffee making facilities and an electronic safe in the wardrobe. 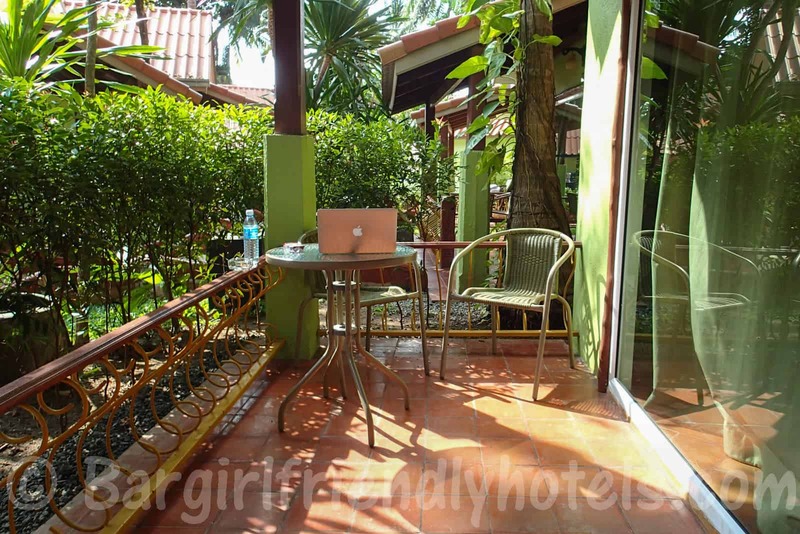 Beach is a 2 minutes walk away through a leafy garden and another hotel property. The main street with bars and restaurants is another 2 mins away in the other direction! Despite this, room was quiet, because the resort is set far back enough from the road. Guest Friendly policy reply by the Evergreen Resort: "Thank you for your choose our Resort. 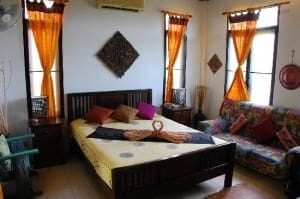 We would like to let you know if you bring your guest (1 person) to our Resort we don't charge anything"
The Kirikayan Boutique Resort is located near the southern end of Chaweng on the best part of the beach. A very small and elegant hotel of only 30 rooms with a great pool and swim-up bar. 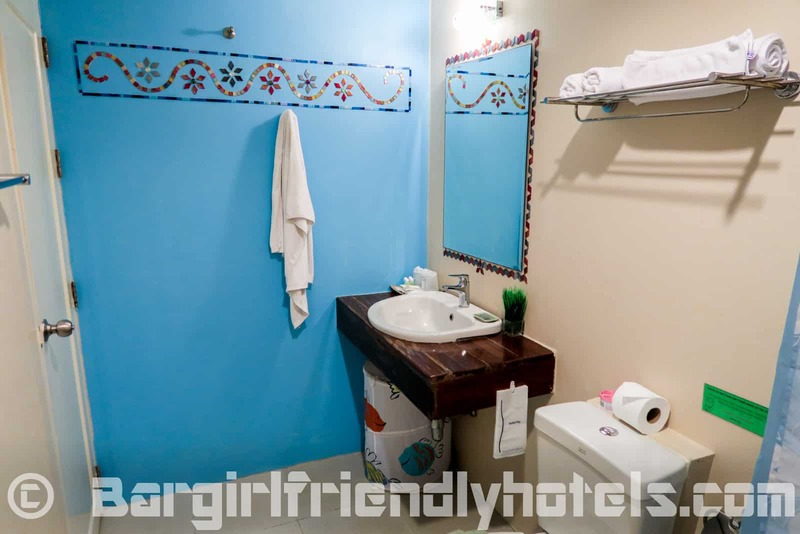 Rooms are nicely decorated and laid out with very comfortable beds, excellent wet room shower, highly effective A/C unit and good Wi-Fi connection even from when on the beach. Guest Friendly policy reply by the Kirikayan Boutique Resort: "Thank you very much for you e-mail our resort allow you bring the joiner without extra charge in case of you booked room for 2 persons but you stay alone. However hotel will copy the joiner ID card then please contact reception every time. Best Regards Warittha S.(Air) Reservation Officer." 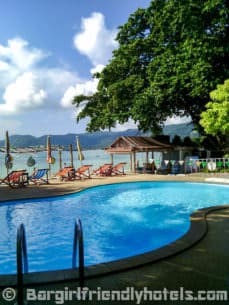 Le Murraya Resort is located 500 meters south of Chaweng lake, very close to the main street and less than 10 mins walking distance from the beer bars of Soi Reggae. 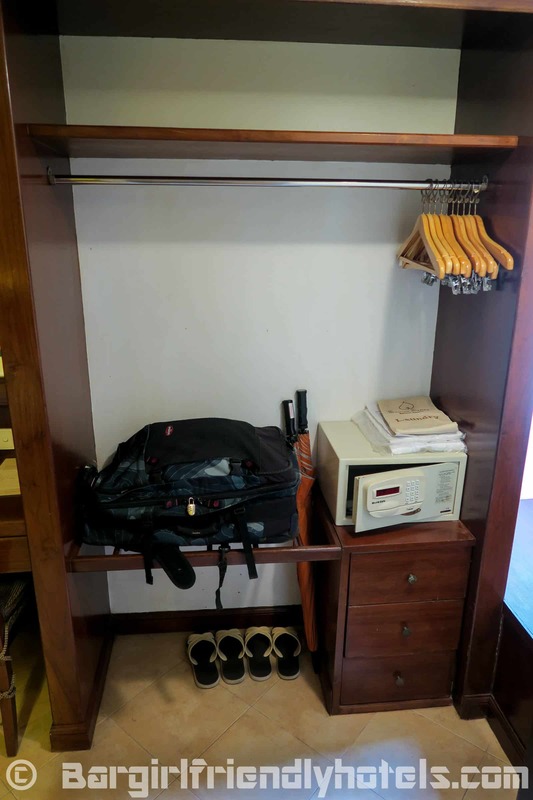 One of the advantages of staying here is the size of the rooms they offer, starting at 44 sq.m. 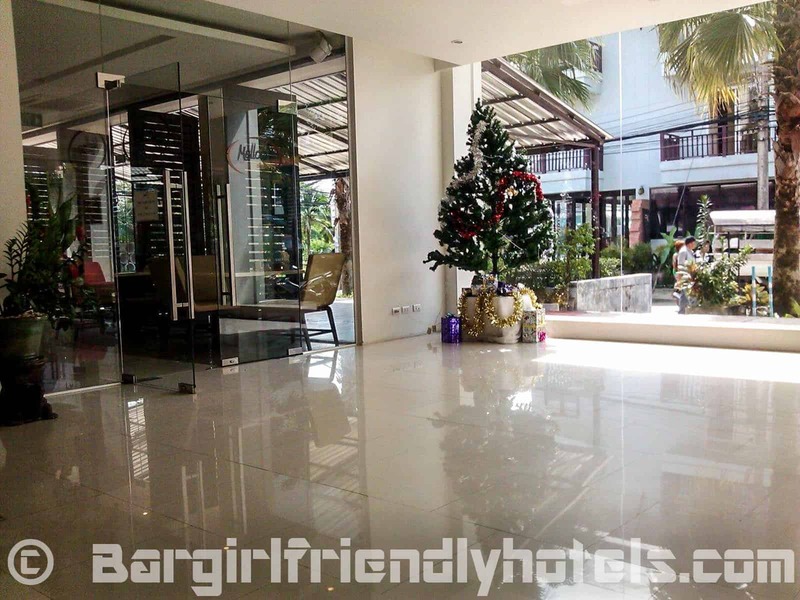 they are definitely larger than your average Samui hotel with a big bedroom with balcony and separate dining area/kitchenette. Facilities include a swimming pool set in a lovely garden area and a gym, while the Resort does not have a direct beachfront location, you do get access to their sister hotel facilities, 5 mins walk away which offers an infinity pool facing the ocean and where an area of the beach is reserved for guests with plenty of sun loungers and parasols around. Pros: Bigger than average rooms starting at 44 sq.m, Two pool (Garden and at the beachfont of their sister resort), Awarded the Certificate of Excellence 2017 by Trip Advisor. Cons: Rooms are a little dull and could do with some redecorating. Guest Friendly policy reply by Le Murraya Resort: "We allowed to get in the unregister guest as long as they will leave the identification card in the reception for the safety reason. Free of charge." The O.P. 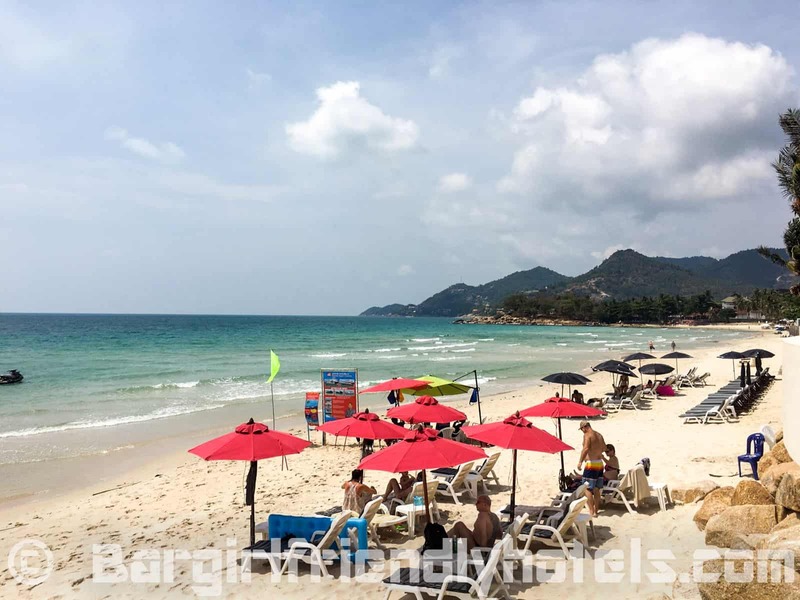 Bungalow is a beachfront property located near the northern end of the beach and only a few minutes walk from Ark bar and Chaweng's nightlife. 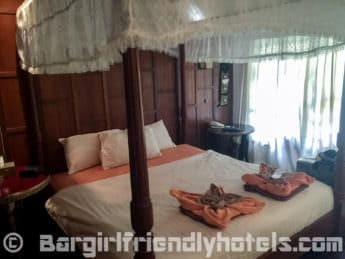 The Bungalows are of a rustic nature,very simple but have air-conditioned and come equipped with TV, fridge, safe, bathroom with hot shower & balcony, place is spotless and cleaned daily. 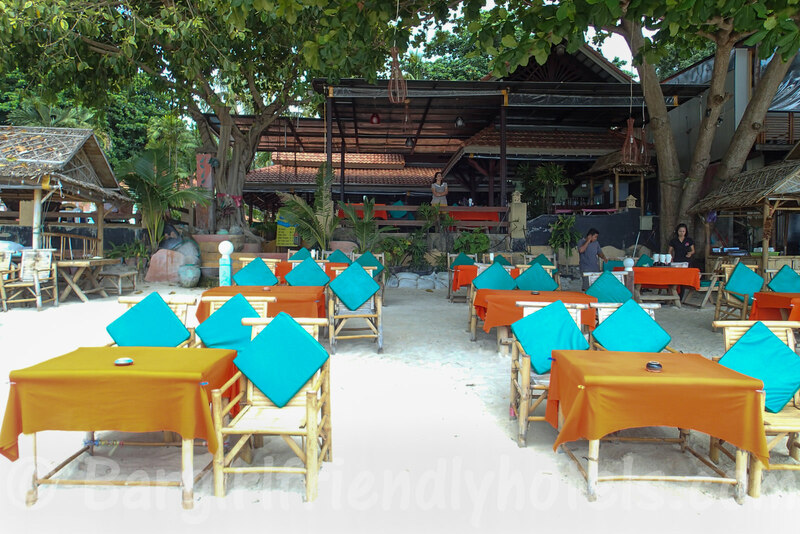 Good bar and restaurant with tables in the sand, the tropical garden settings of the resort are also quite nice. Value for money is excellent and well worth a visit if you don't mind the basic rooms and lack of a pool. Cons: Facilities are limited: No pool or gym, beach is too shallow to swim at, beds are a little hard. Guest Friendly policy reply by O.P. Bungalow: "When you will come here..joiner no charge, but security man will keep ID card. 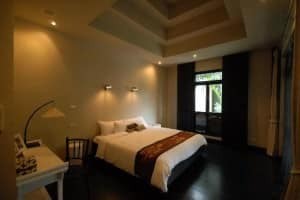 See you, PAN"
The Pawanthorn Pool Villa Samui is located a 5-10 minutes walk away from North Chaweng Beach in a Nice and cozy environment. 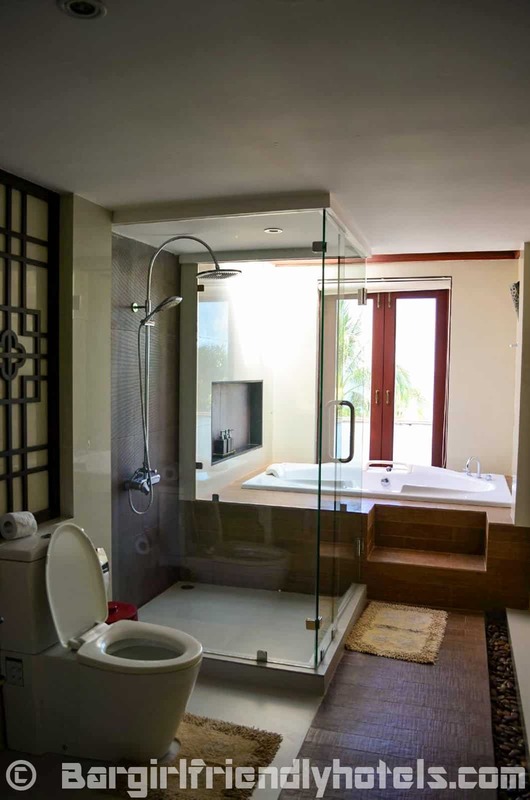 The villas are very modern and well appointed with great bathrooms and everything you need including your own private pool. A bit outside of the center so you would need a motorbike to get around to the center, Soi Mango is about 2 KM away. 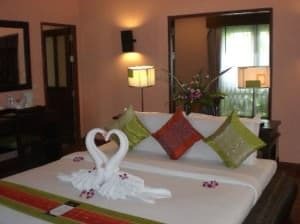 Guest Friendly policy reply by Pawanthorn Pool Villa Samui: "Dear Sir, Concerning on your inquiry we allowed to bring an unregistered guest without any additional fee. But she have to leave her ID card at the reception. Best regards, Thanakorn Anugoolrachathon Villa Manager." 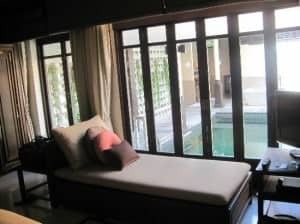 The Sans Souci Samui is located in a quiet area near the southern tip of Chaweng where the beach is best for swimming. 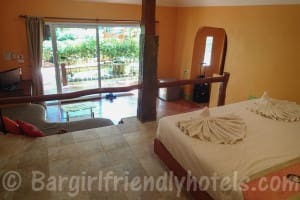 The resort has a beautiful tropical garden and while there is no pool the fantastic beachfront location makes up for this. The Bungalows are nice and spacious all made up of wood. The dark tones take a little time adapting to but the rooms are nicely decorated and well appointed with everything you need. 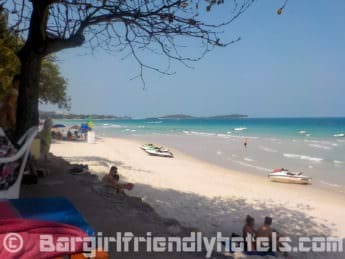 Pros: My favorite stretch of sand for swimming on Chaweng beach, great staff, peaceful place, nice gardens, gets awarded the certificate of excellence by Tripadvisor year after year. 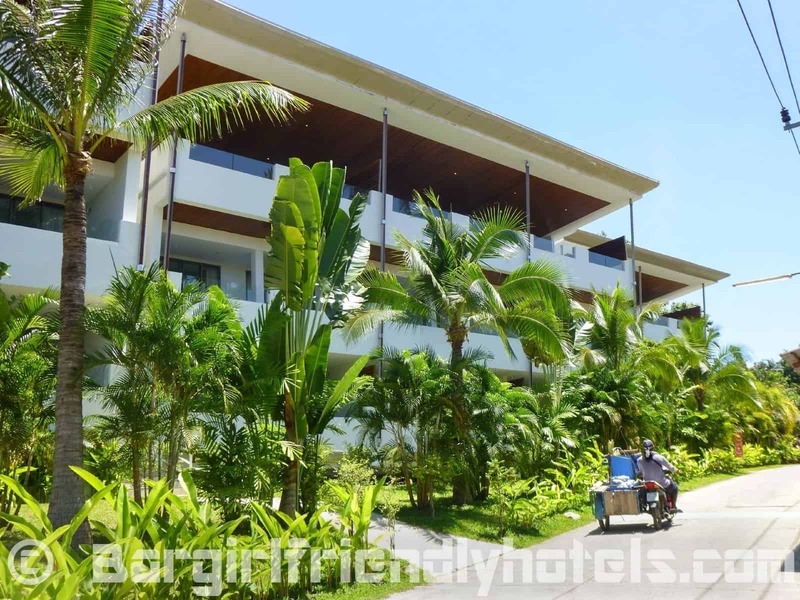 Guest Friendly policy reply by the Sans Souci Samui: "Sawasdee krab, Thank you for interested our hotel. 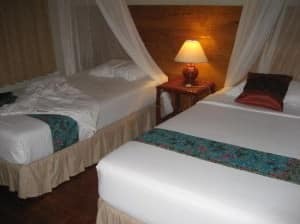 Our rooms are for 2 persons. 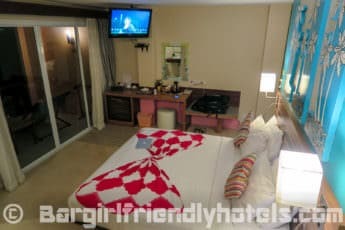 As long as you apply the room policy for 2 persons, we won't charge any additional cost Please note that the girl must leave her ID at the reception. We are happy to be part of your vacation. 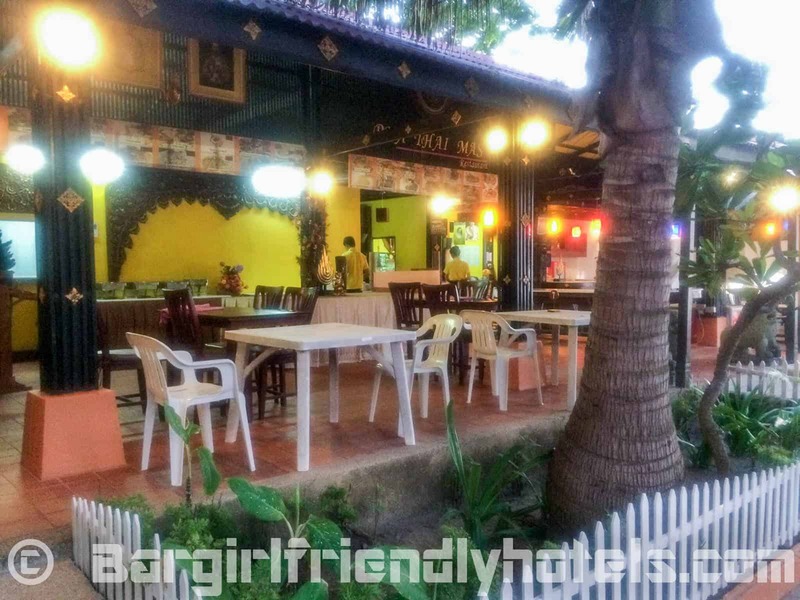 Best regards, Phupha V."
Location is right in the middle of the action for entertainment and food but just a far enough walk to get a quiet nights of sleep. 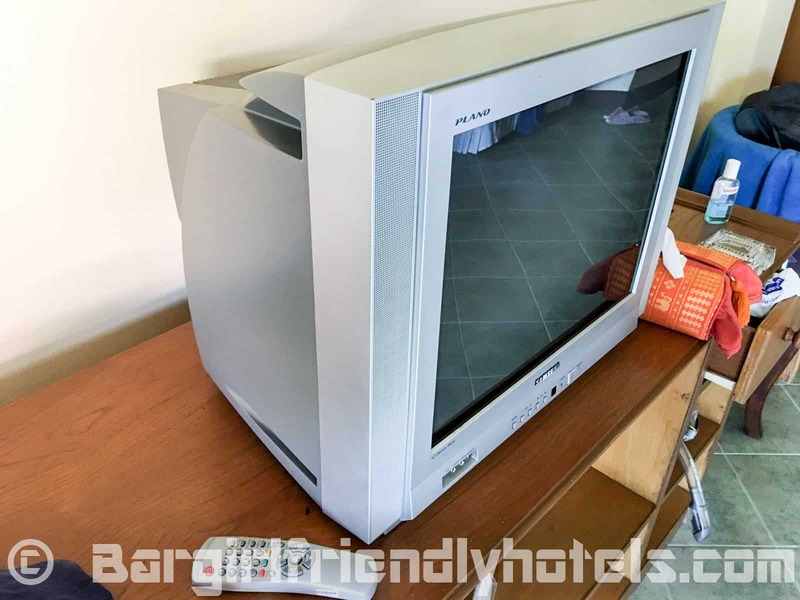 P&P Samui Resort is right on the beach, rooms are very basic, cleanliness levels are acceptable, bathroom is a wet room with shower stall, no free toiletries, hot water was always available. 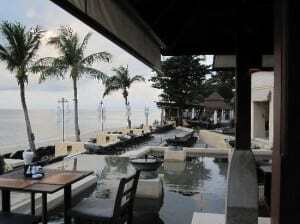 The Resort has a small swimming pool facing the sea, their restaurant serves some pretty decent food. Beach bar is nice with fire dancers at night so if your looking to stay in a nice but not luxurious resort for a cheap price this should a good option. 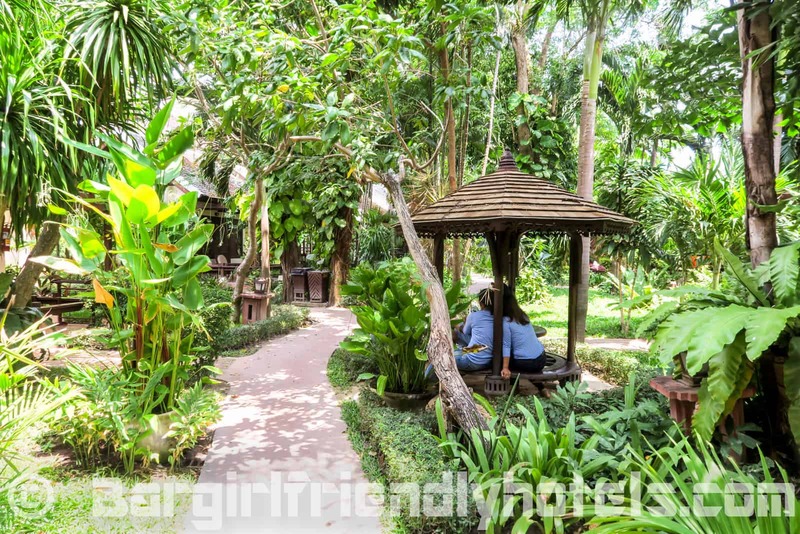 Guest Friendly policy reply by the P&P Samui Resort: "They don't have a website nor e-mail but been here before and no problem to bring a girl back." 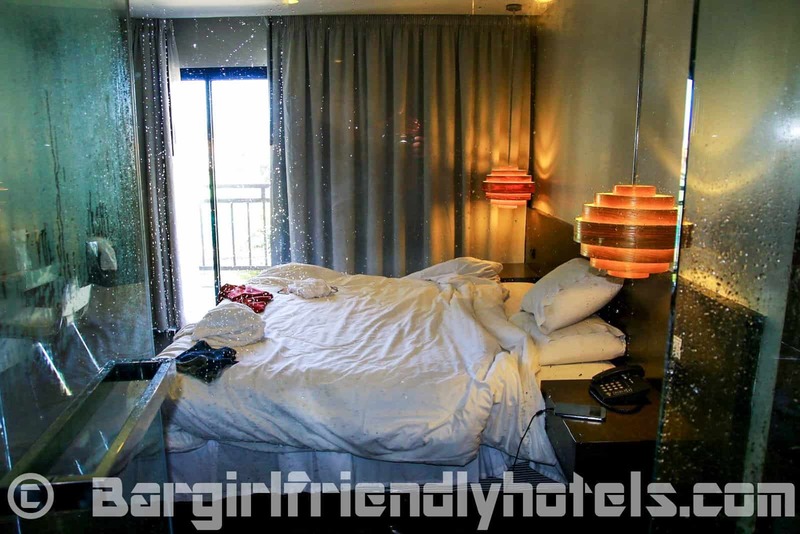 I tried both their Deluxe and superior rooms, the pictures above reflect the Deluxe category. 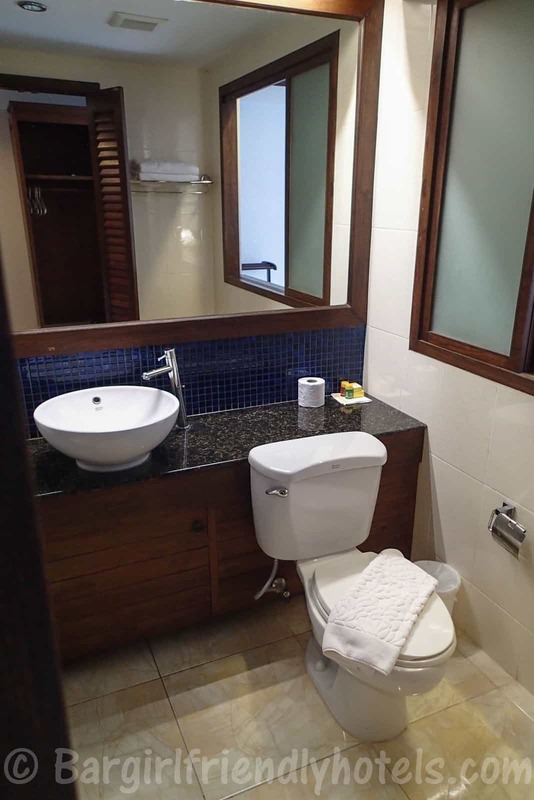 Both are have been recently refurbished and are clean, with a comfy bed, balcony and a modern glass enclosed shower and toilet but no tub. Deluxe category has a bigger TV but the superior ones got the bigger toilet. 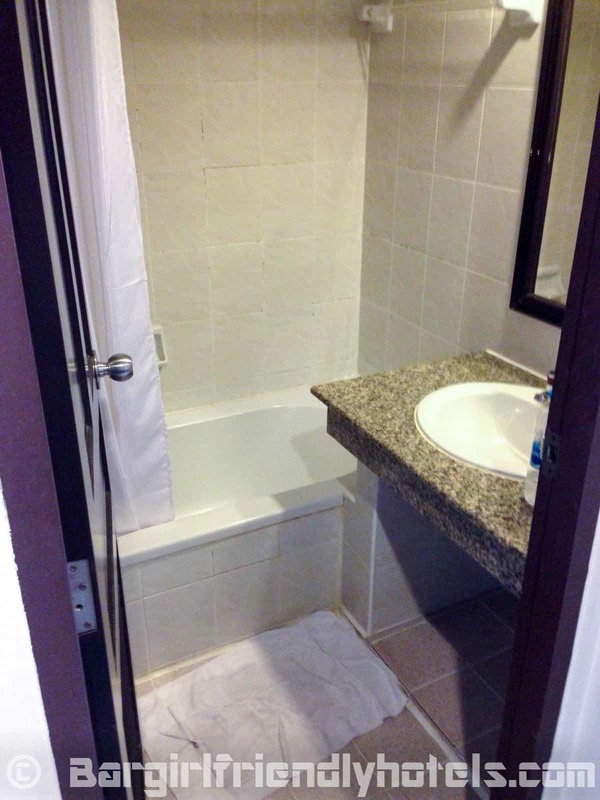 Avoid the standard rooms unless you really are on a budget, they are very old and run down in places. 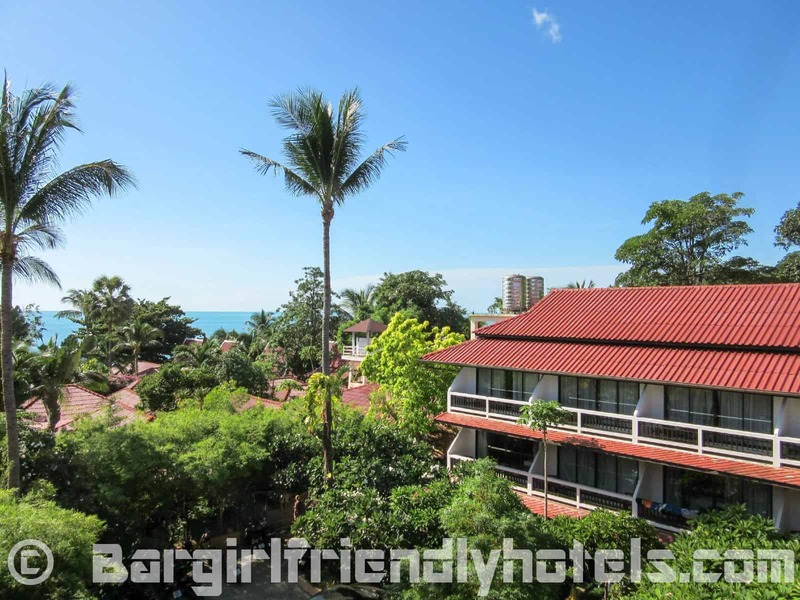 Location of D Varee Diva Avenue Samui is good, an easy walk to the beach or nightlife, swimming pool on the roof is well worth a visit too. 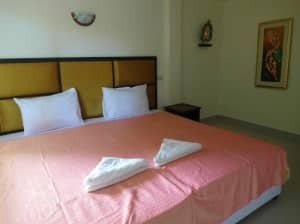 Guest Friendly policy reply by D Varee Diva Avenue Samui: "Greeting from D Varee Diva Avenue Samui! We would like to inform you that we do not charge for extra person but the girl have to drop ID card at the reception. 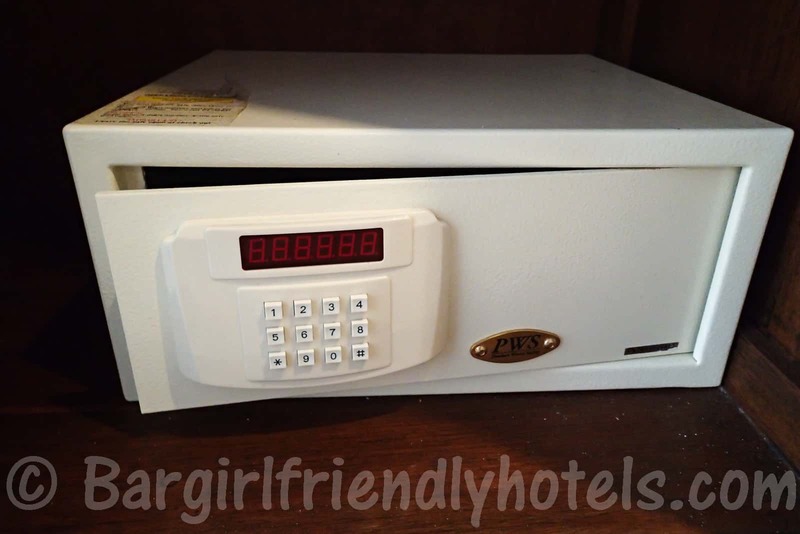 and we not responsibility for your value things in the room but we do take her ID card and copy for secure our value guest. look forward to welcoming you soon." 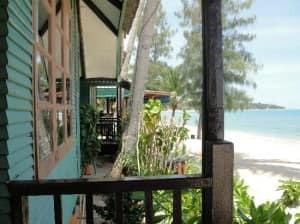 Samui First House is in one of the quieter location along South Chaweng beach, around 25-30 minutes walk to main bar are in Soi Mango. Beach is in front of their sister resort First Bungalows and is accessible trough short bridge (1 min max walk). 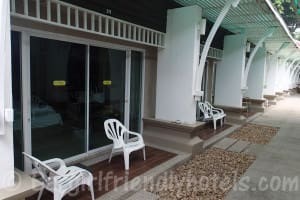 For the price I paid for the standard room, it was more there wasn't much to complain about, keep in mind this is a very basic hotel so if you are looking for a bit of luxury in Samui this is not it. 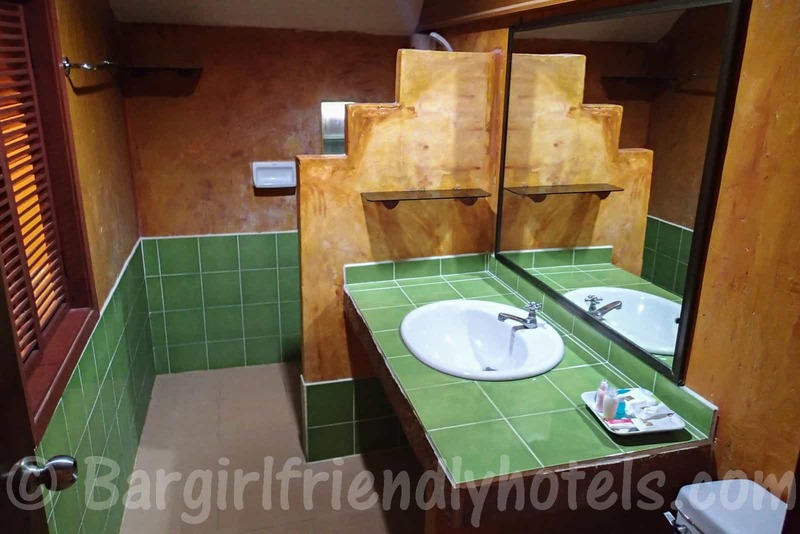 Standard rooms are a bit old and come with a big bed, minibar, working toilet with bath/shower, air-con, older TV with around 20 channels and balcony. 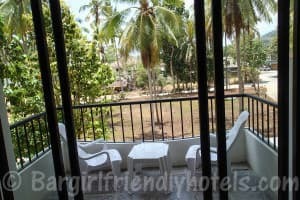 don't expect any views at this place unless you are paying for the Superior or deluxe rooms, but if you're looking for one of the cheapest and best places to stay along Chaweng beach that has a pool then Samui First House is probably the one, especially if you're able to catch one of Agoda's deals. 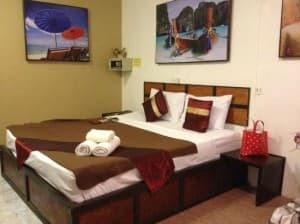 Guest Friendly policy reply by the Samui First House Hotel: "The hotel's policy for a room you could stay for 2 persons. If you stay for one person in the room, a joiner free of charge." 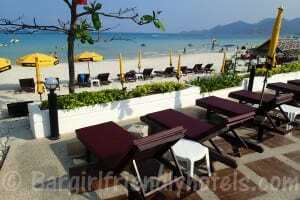 The Seascape Beach Resort's location is right on the quieter Southern end of Chaweng beach. Sandwiched between more expensive resorts the facilities here are divided between rooms with balconies in their main building and bungalows with balcony. 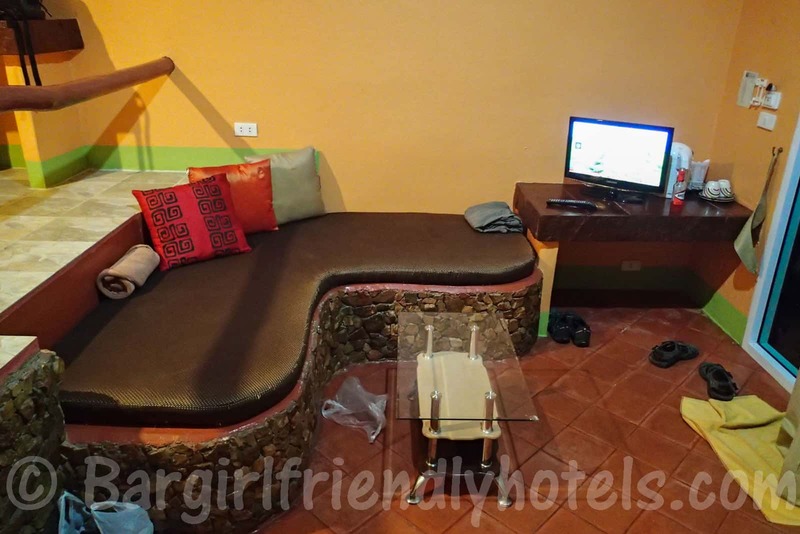 Rooms are large yet very simply furnished though they cover all the basics: A/C, TV (older CRT model), mini-bar, hot shower and free WiFi. 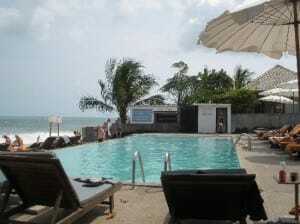 Pool is small but beach location is about the best on Chaweng for swimming, restaurant is good and not expensive. Guest Friendly policy reply by the Seascape Beach Resort: "Thank you for your interest in Seascape Beach Resort. 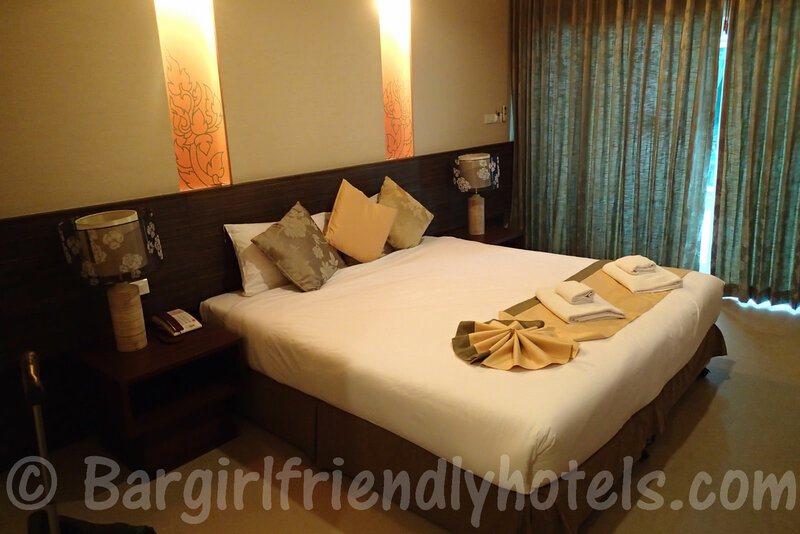 There is no additional charge to bring a guest to your room." 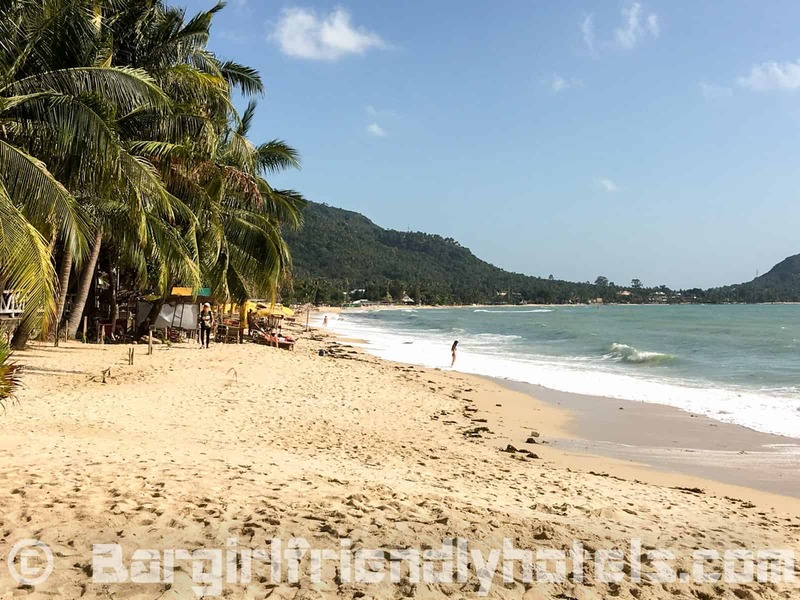 Bill Resort offers a quiet retreat right one of my favorite stretch of sand near the northern end of Lamai Beach. 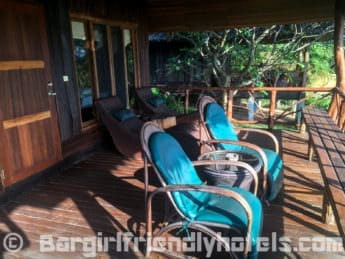 The setting and location is really nice with bungalows spread out on the hillside through a nicely manicured little sub-tropical jungle. Their accommodations at the top involve quite a steep climb so make sure you get a room near the bottom if you have any mobility issues. 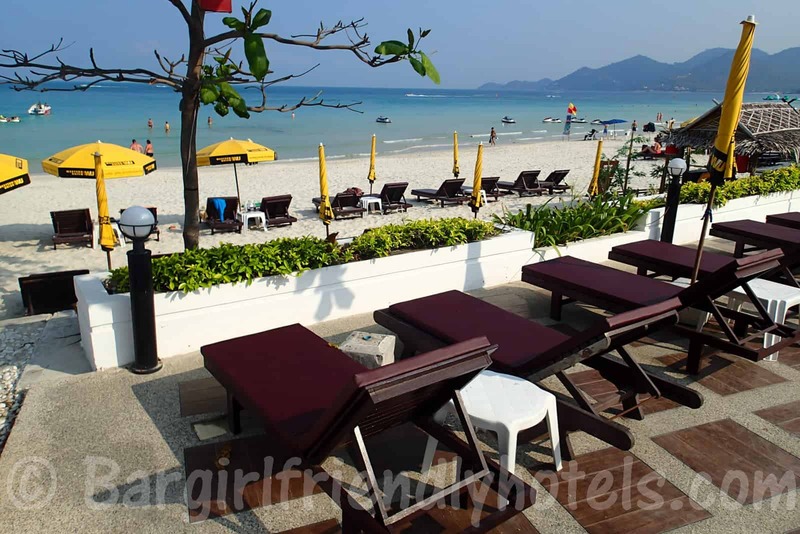 The swimming pool area and restaurant (good food) are located right at the beachfront where plenty of sun loungers are available. 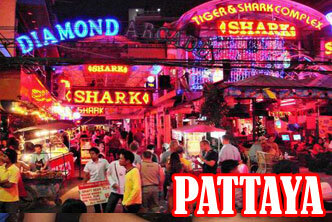 Depending on your pace a 10 to 15 mins walk down the beach will take you into the Lamai centre for the nightlife. 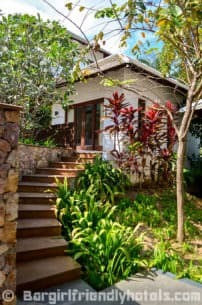 The Standard bungalow I booked was perfectly adequate for my needs, nothing fancy but clean and tidy equipped with: A proper bed, good A/C unit, old-school CRT TV but with a few English channels, small but well stocked mini-bar, bathroom with bath/shower and a little terrace to sit outside. 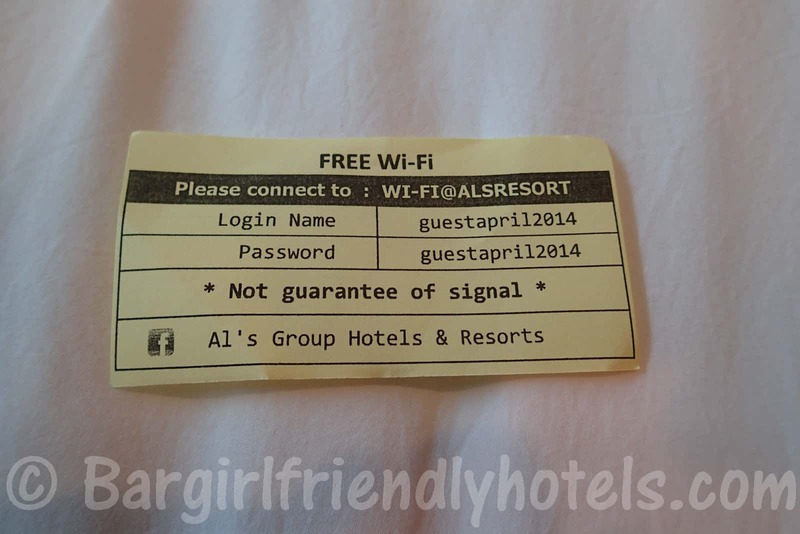 Only downside is that I wasn't able to pickup a Wi-Fi signal in my room but you can access it for free in the common areas like pool, reception & bar/restaurant. Staff was extremely friendly and last but not least very girl friendly no issues with security bringing back this bargirl at night. 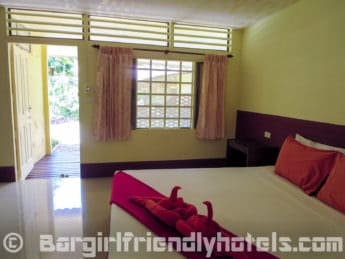 Date Last Visited: Pictures were taken during my last visit in April 2014 and reflect their least expensive bungalow accommodation on offer the: “Standard Bungalow“. 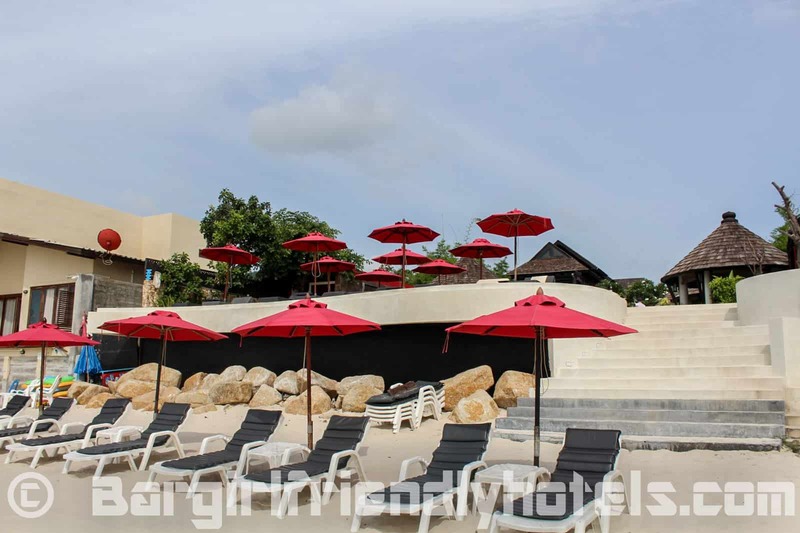 Guest Friendly policy reply by Bill resort: "Greeting from Bill Resort Koh Samui. 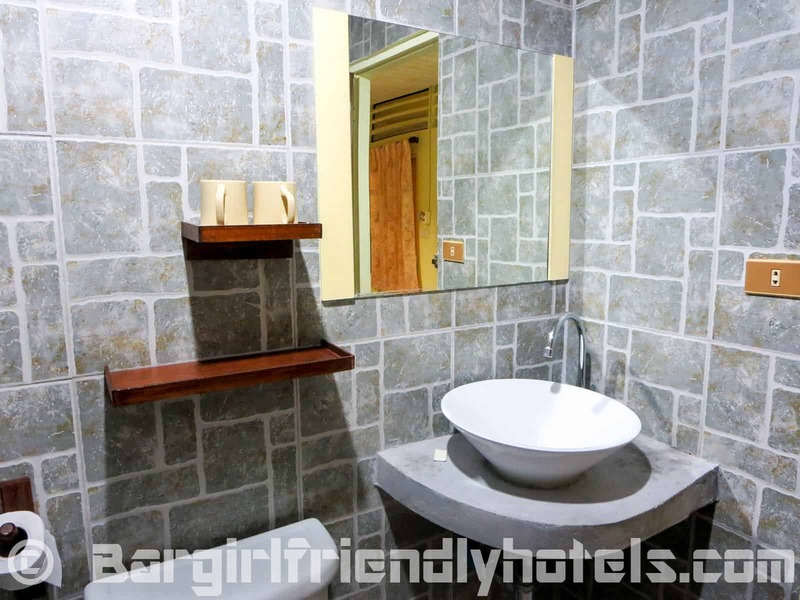 Please be kindly informed that if you make reservations for 2 persons in Agoda.com and you check in alone you can have joiner free without any charge. Regards Moo". 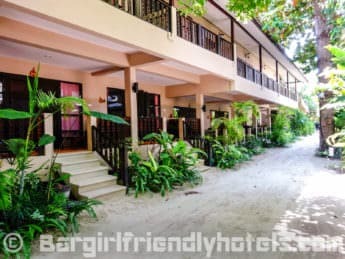 The Coconut Beach Resort I am reviewing is the three-story building that was recently built an old coconut farm dating from the 50's, Not the older resort two streets down with an almost identical name (beware that taxis will often take you this one first). The location is really superb, where during the day you can just chill at the Resorts beachfront and pool then once the nighttime comes be at the main beer bar complex in less than 5 minutes walk. 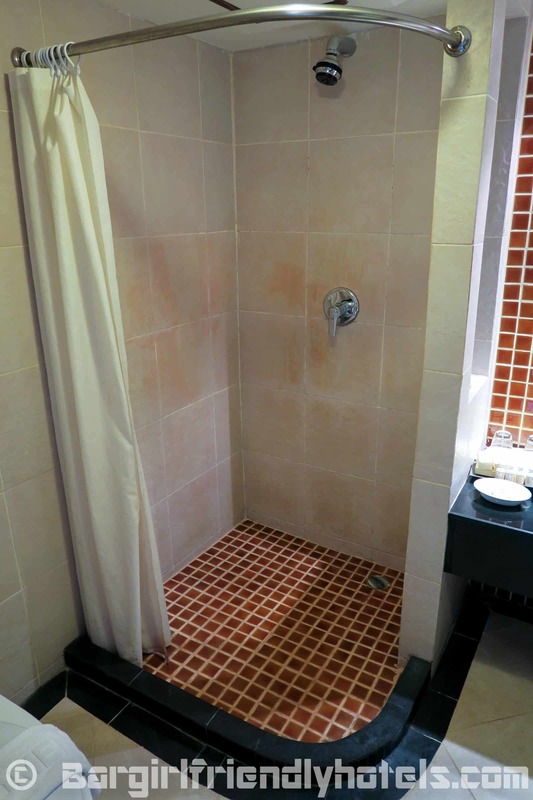 The standard room I booked was clean and spacious with glazed tile floors throughout. 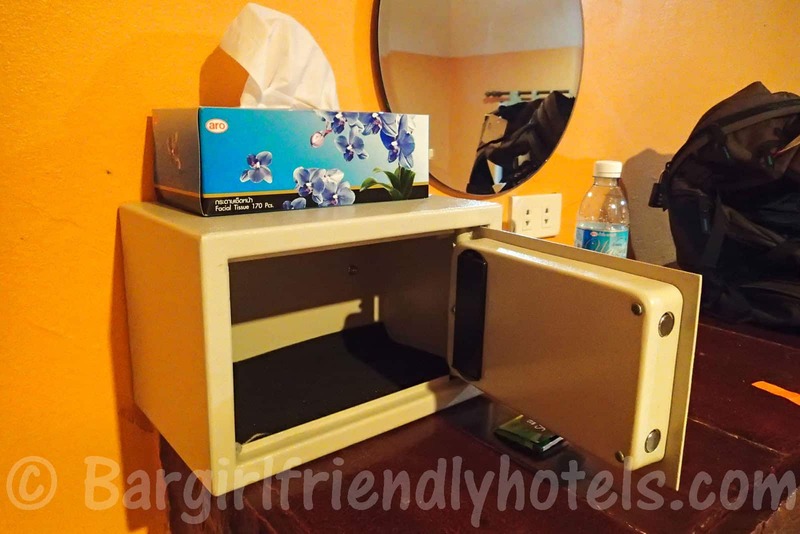 Amenities included: Big and comfy bed, small LCD TV, big fridge, electronic safe, quiet A/C unit, In-room features (lights, AC, TV), can all be conveniently controlled by the bedside, writing desk & chair, bathroom with bath/shower and a basic set of free toiletries. Room also has a small balcony overlooking palm trees. 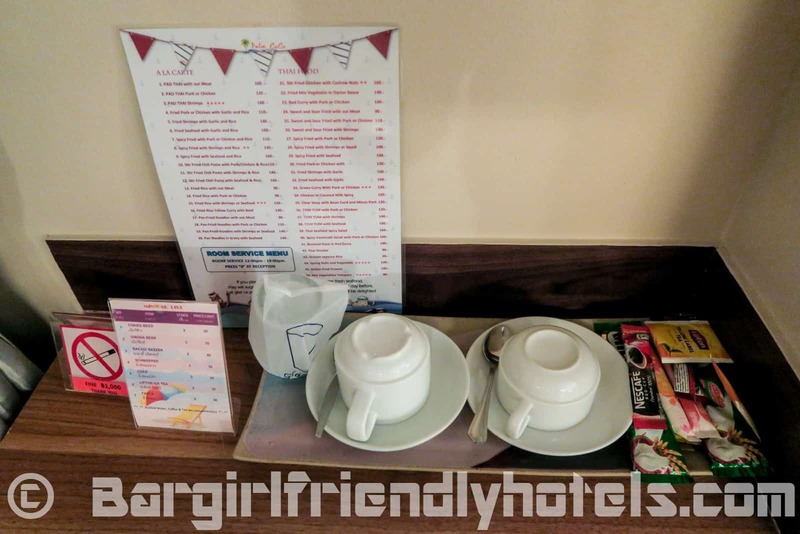 There are no in-room coffee/tea making facilities but you can get water/tea/coffee for free near the reception area 24/7. Only downside was that my balcony doors had a small gap in them so on some nights a few mosquitoes got into the room. Other than that all good, good housekeeping, friendly staff and no problem with security at night bringing back a joiner. 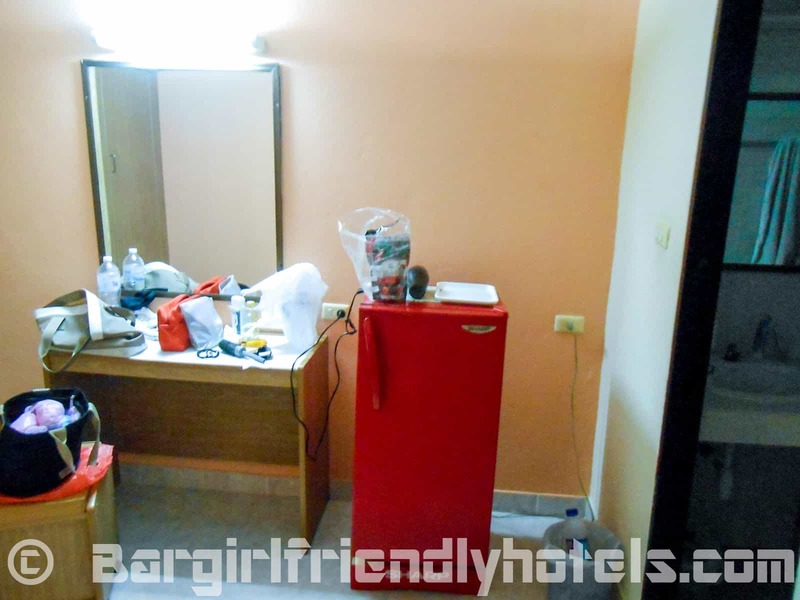 Date Last Visited: Pictures were taken during my last visit in April 2014 and reflect their cheapest room on offer the: “Standard Room“. 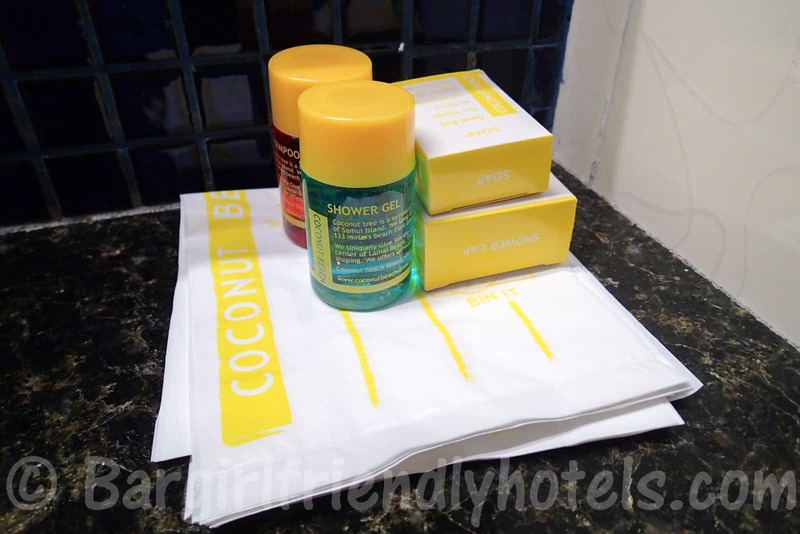 Guest Friendly policy reply by Coconut Beach Resort: "Greeting from Coconut Beach Samui. Welcome back, no we do not charge for the joiner. Best regards, Pongpisut Charoensuk". Palm Coco Mantra is is new and modern resort located a little off the beaten track about a 5 to 10 minutes scooter ride north of the Lamai center, if you don't wish to rent your own set of wheels you can always grab the songathew along the main road 5 minutes away or take the long 20 minutes walk along the beach to Lamai. 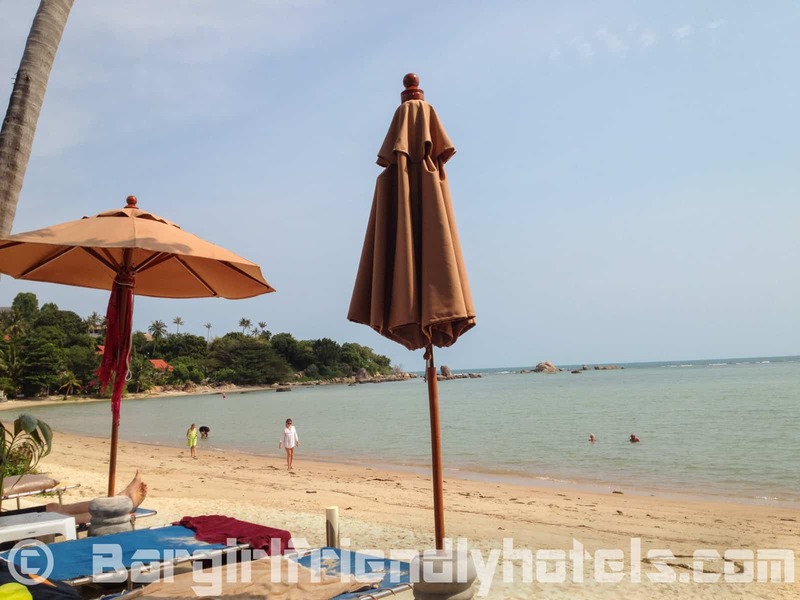 The grounds here are quite spectacular, you will be hard pressed to find a better view in the area with it's secluded beach and cool, pool and bar area a few meters from the sea, the resort offers one of the best options in Lamai for relaxed stay. 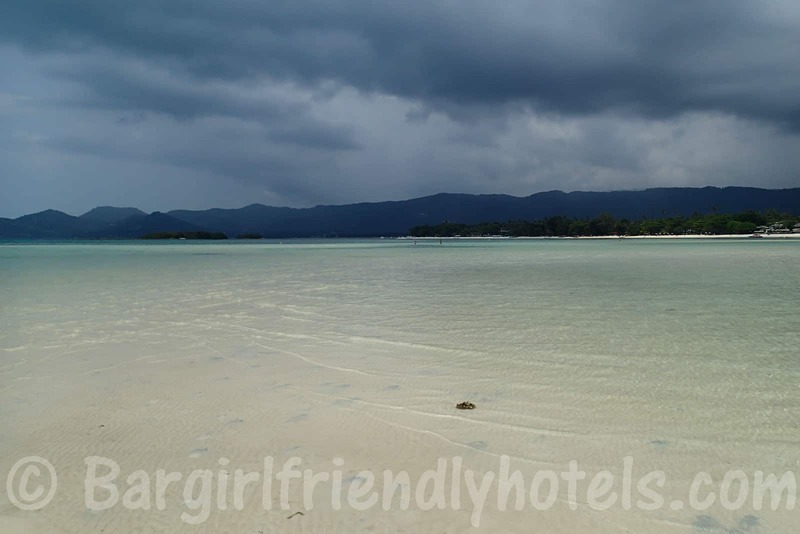 The sea is shallow and peaceful and perfect just to laze in, if you are looking to swim though, you will need to walk further down the beach as the water in front of the resort is barely knee deep at low tide, free kayak rentals are available if you wish to venture around. 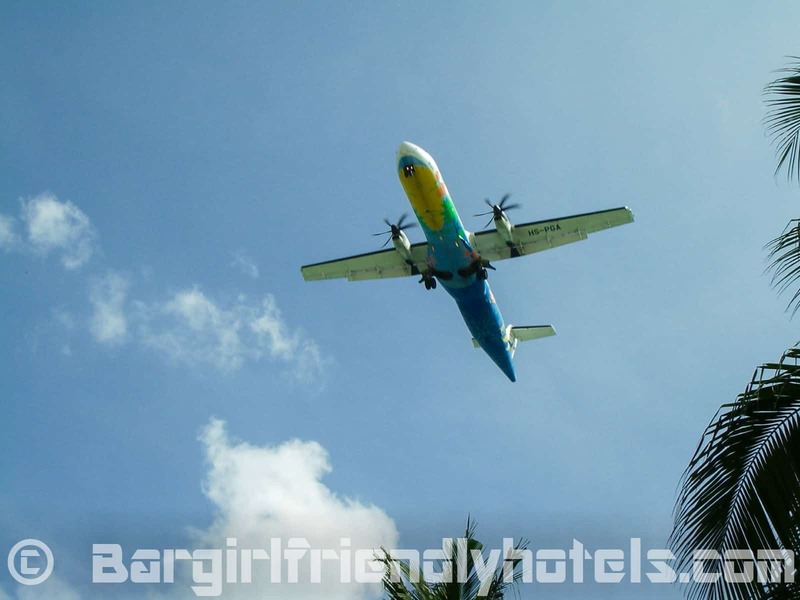 One thing that stands out is their the fantastic staff, they are really amazing, unpretentious and friendly, no problems whatsoever with overnight guests either. 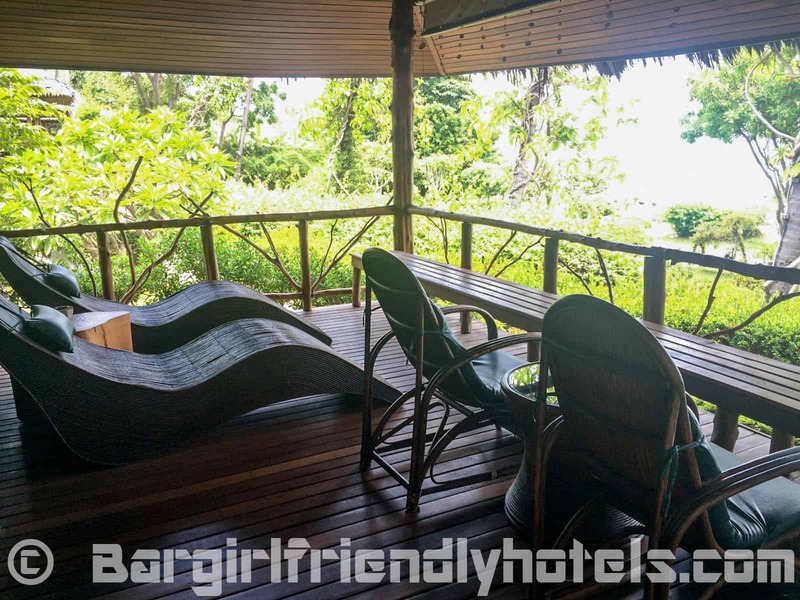 I booked their Superior Sea View, room was on the top floor of the main building with a great panoramic view out to the beach and open sea that you could enjoy from the balcony in one of the two comfy reclining deckchairs. Rooms are nicely decorated, clean and at 30 sq.m there's plenty of space to move around. Amenities are all right and certainly in line with their 3.5-star rating, bed is big and comfy, flat screen TV across from it had HBO for movies as well as a few other English-language channels, air conditioning was quiet and efficient, excellent Wi-FI reception (as well as throughout the property), mini bar was a tad small to my liking but filled with a selection of drinks, coffee/tea making facilities were found on top of it, a safe and padlock are provided as well and located in the wardrobe. 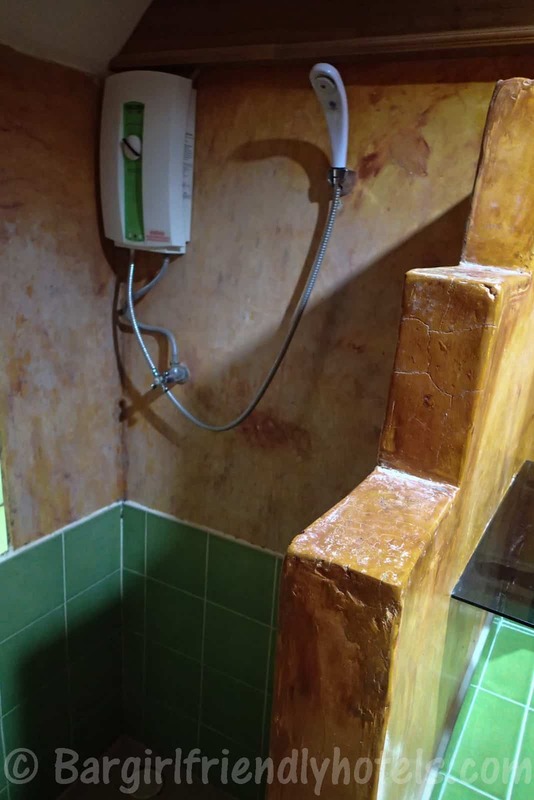 Bathroom is basic but everything works, sink and mirror & toilet on one side with the shower/wet room at the other end, no issues with hot/cold water or lack of pressure. The Palm Coco Mantra has also been awarded the Trip Advisor Certificate of Excellence in 2016, so it's hard not to recommend for it's premium location, service and atmosphere at about a 3rd of the cost of other hotels nearby. Date Last Visited: Pictures were taken during my last visit in April 2016 and reflect their second cheapest room on offer the: “Superior Sea View King Bed“. Guest Friendly policy reply by the Palm Coco Mantra Resort: "Same day booking so I called them directly prior to booking with Agoda.com, got confirmation on the phone that there are no joiner fees. Policy tested same night and indeed confirmed Guest Friendly". 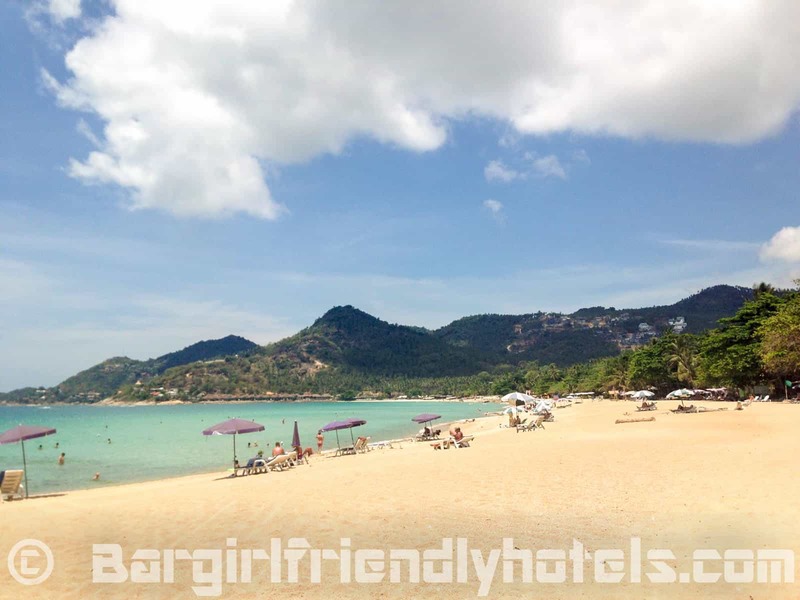 If you are looking for a holiday right at the beach with almost immediate access to Lamai's biggest beer-bar enclave then the Samui Sense Beach Resort might just be the place for you. 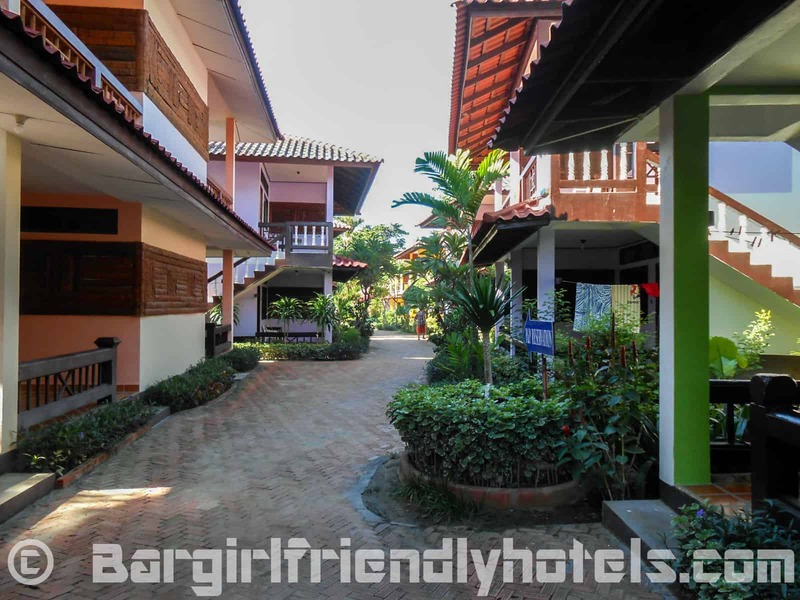 The resort is set on lush grounds that can be accessed both by the beach and main road. The swimming pool area is nice and there are plenty of sun loungers from which to chose from on the beach (free of charge of course), service from the bar and restaurant staff was always handled promptly and with a smile, a little before sunset the beach is turned into a chill-out zone with beanbags, tables and chairs for happy hour and dining. 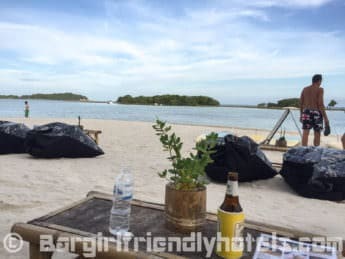 Since the entertainment center of Beer Bar Central is only 3 minutes walk away, staff and security are well accustomed to guests coming back with ladies overnight so never had any issues here, even when one of the girls forgot her ID back at the bar. 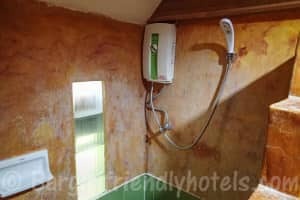 During my most recent stay, I went their cheapest category available the "Superior Room", these have the advantage of being located in the main building which has gone through some recent renovations. For sure, at 22 sq.m. you're not getting a whole lot of living space but that was fine with me because I'm mostly at the beach or by the pool in the daytime and in the bars at night. Room was clean and nicely appointed, furniture was of good quality and in Thai style, the bed was comfy slept really well no complaints here, Flat-screen TV had basic selection of channels, limited to just a few western ones to chose from, on the other hand the air-con was fantastic, cooled the place off in no time, good wi-fi reception in the room and throughout the hotel, mini-bar drinks were reasonably priced with free water daily, boiler with coffee/tea provided, decently sized electronic safe and plenty of storage for your luggage. Although not huge, the bathroom was adequate with a sliding door arrangement next to the bed, shower offering good pressure/temperature and free toiletries are also provided. 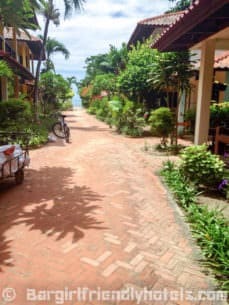 Overall a good option, great beachfront location just a few minutes walk from to the best beer bars and nightlife that Lamai has to offer, would recommend! Date Last Visited: Pictures were taken during my last visit in April 2016 and reflect their cheapest room on offer the: “Superior Double Room“. 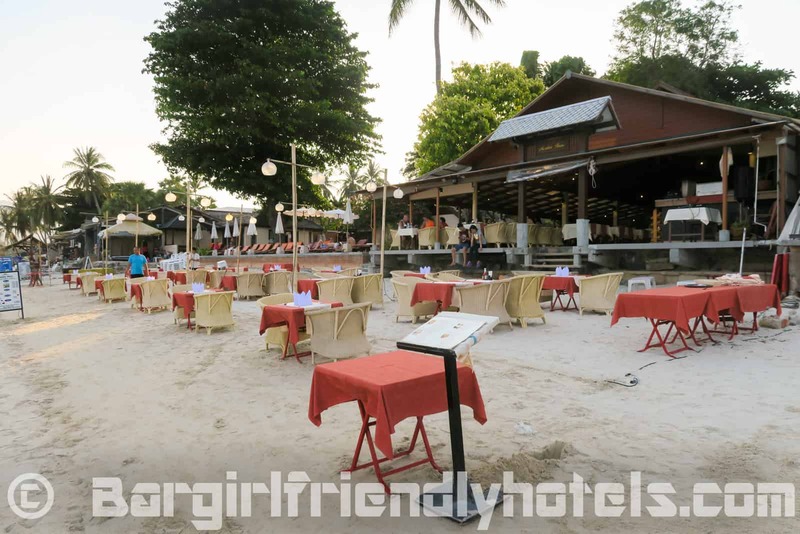 Guest Friendly policy reply by the Samui Sense Beach Resort: "Regarding your inquiry regarding joiner. We don’t charge anything for that purpose. What is important is when the guest check out the joiner should as well leave the room. Regards, Noli Dula". The Am Samui Palace Hotel is located right in the heart of Lamai so if like to have everything at hand: Bars, clubs, market, beach, etc. within less a than few minutes walk, this is the place for you. 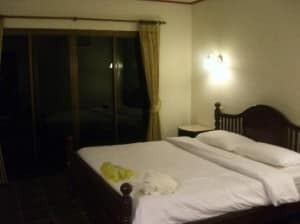 Rooms are of good size with big balconies, nicely decorated with proper wet room and all the necessities, everything is kept spotlessly clean. TIP: If you don't want to be disturbed from the noise at night ask for a poolside room. 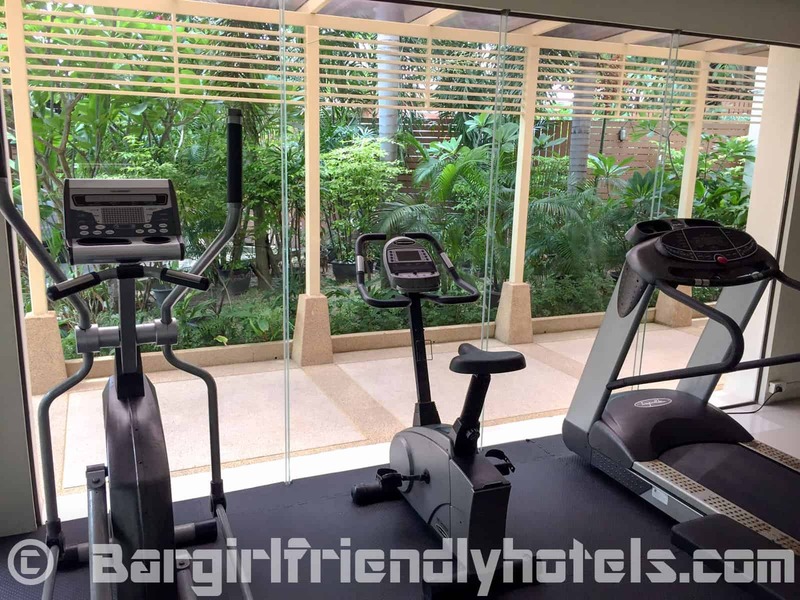 Guest Friendly policy reply by the Am Samui Palace Hotel: "No additional joiner fee. 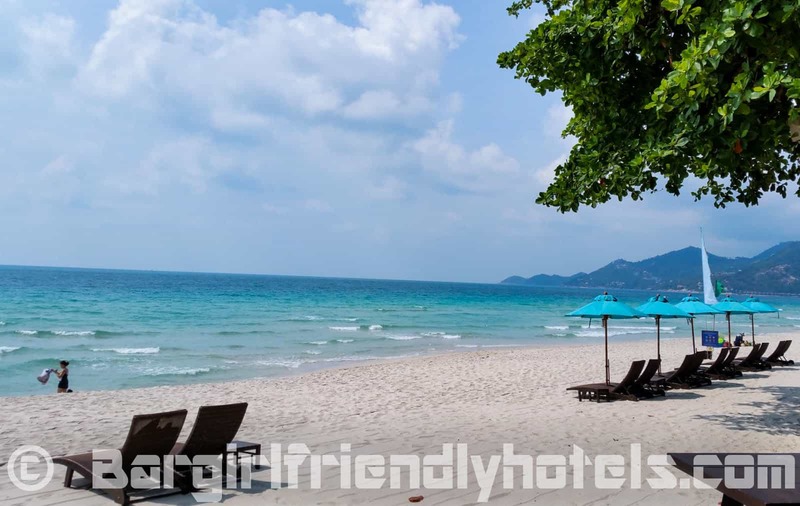 Best Regards, Pawaris -Am Samui Palace"
The Beach Republic Hotel is a luxurious 4.5-star resort with a fabulous beach-side location on the northern tip of Lamai beach with quick access to Chaweng beach just a 5-10 minutes taxi/motorbike ride away. Rooms are nice and spacious, clean and modern with little perks such as personal espresso machines & complimentary use of iPads. 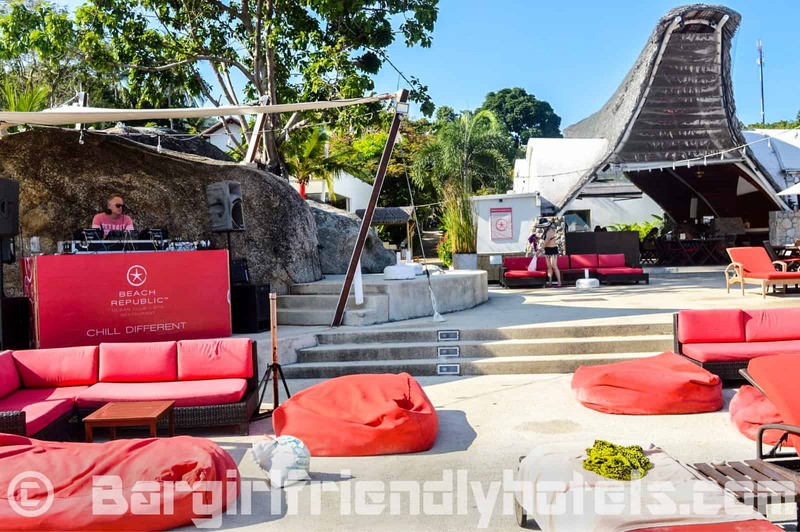 A highlight of the Beach Republic is it's fantastic outdoor bar & lounge area with beautiful cabanas and beach chairs where a DJ mixes some great chill-out songs. Always rated in the top 5 on Tripadvisor.com you can't go wrong here although it might be a bit expensive for some with it's 100$+ price tag. Guest Friendly policy reply by the Beach Republic Hotel: "Thank you for your interest in Beach Republic. Yes, no problem at all. There is no additional fee if you would like to bring a lady over, although breakfast would be extra if so desired. 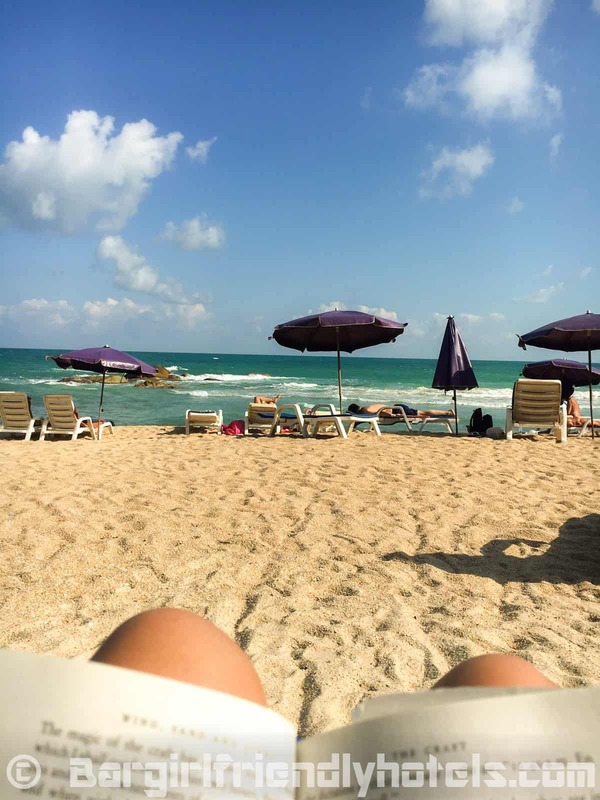 Kind Regards, Nathan -Marketing Director, Beach Republic Group""
The Lamai Beach Residence is a new property that opened just a little over a decade ago ran by two French couple. 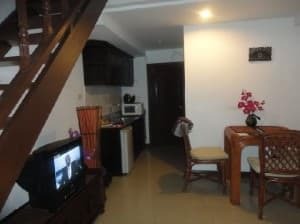 The apartments are very clean and come equipped a small kitchenette with fridge & microwave, living room corner with sofa & TV, toilet with hot water plus the Wi-Fi is free. 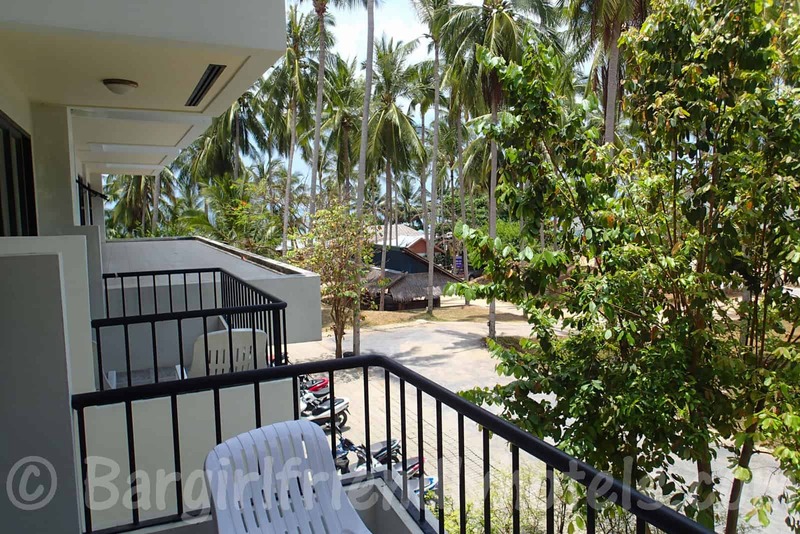 Location is also good: 200 meters from the beach and within walking distance of Lamai town. Good Value for your Buck. Guest Friendly policy reply by the Lamai Beach Residence: "Hello, No need to pay more , just my security guard check her ID. Bye, Oliver". 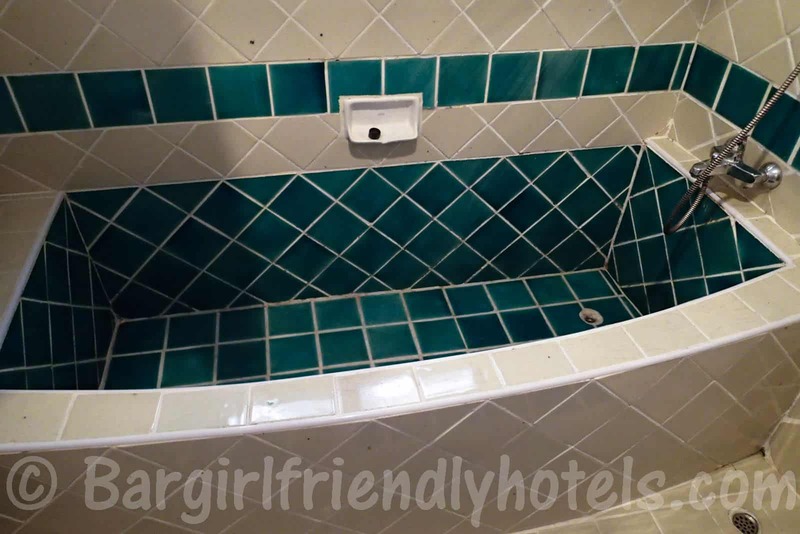 I stayed in a pool view room that had a king size bed, A/C and hot water. 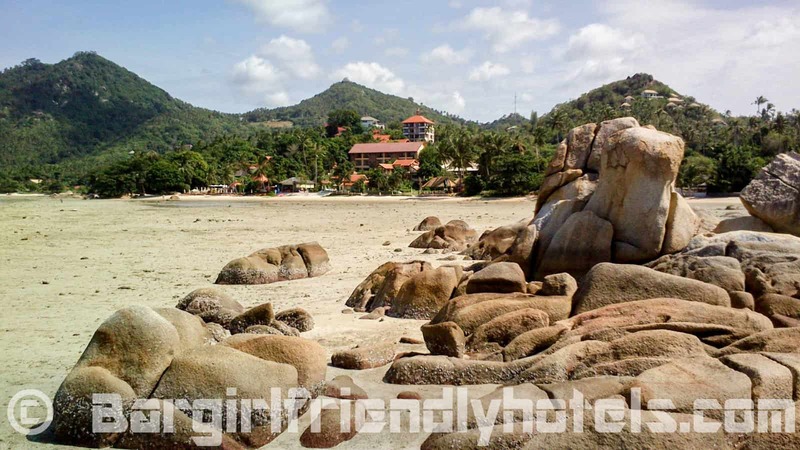 The beautiful Lamai beach is about as close as you can put a hotel from it. The restaurant was good for Thai food but i would give the western food a miss. The nearby bar is noisy until two or three in the morning, didn't bother us too much as were night owls. 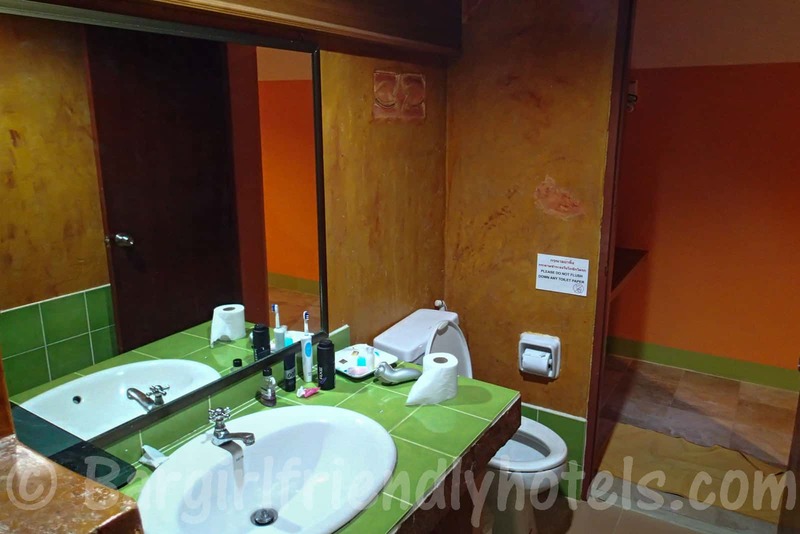 The location is a compromise between proximity to the beach and distance to the main street in the town - both are fairly short walks, however, this hotel is situated closer to the beach then the town. The walking distance to town isn't more then 5 minutes at a slow stroll, while the distance to the beach is closer then that. 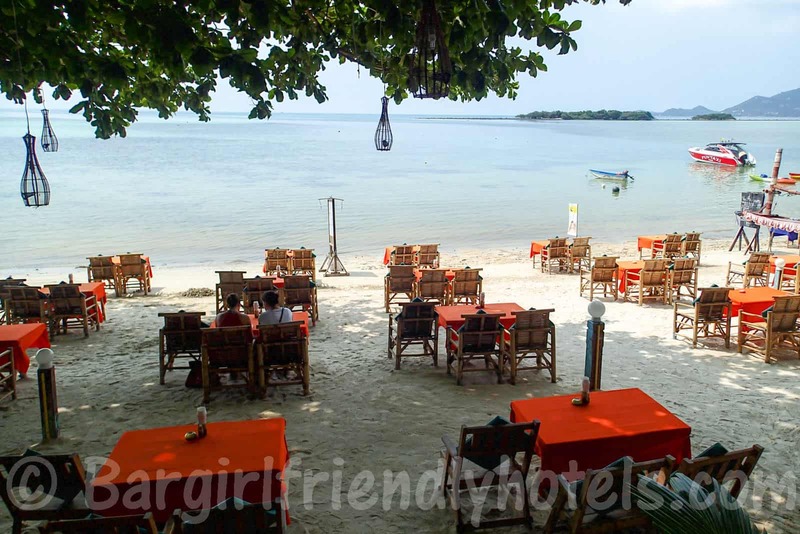 In fact, the hotel's restaurant is on the beach. 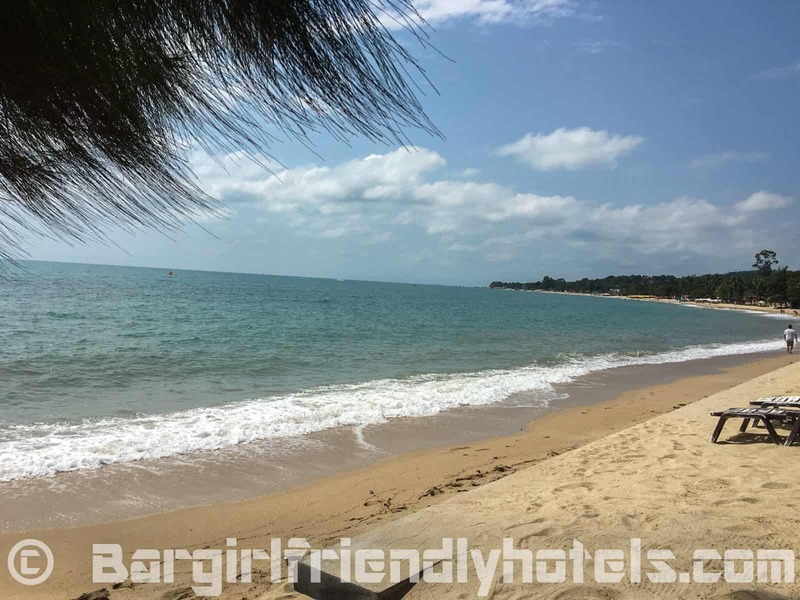 Lamai Wanta Beach Resort is a lovely new development just off the beach in the bustling little town of Lamai. 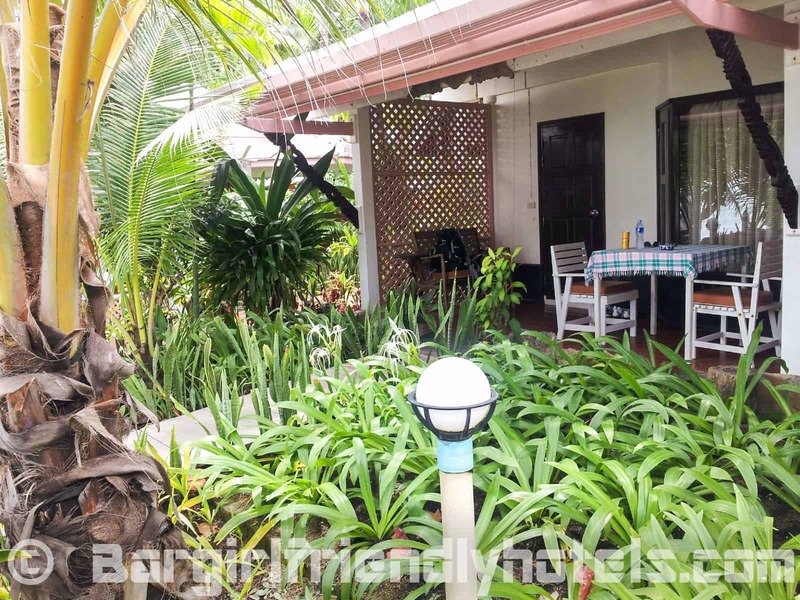 Very quaint clean bungalows and very handy location just seconds away from the main street but also seconds away from the beach too. 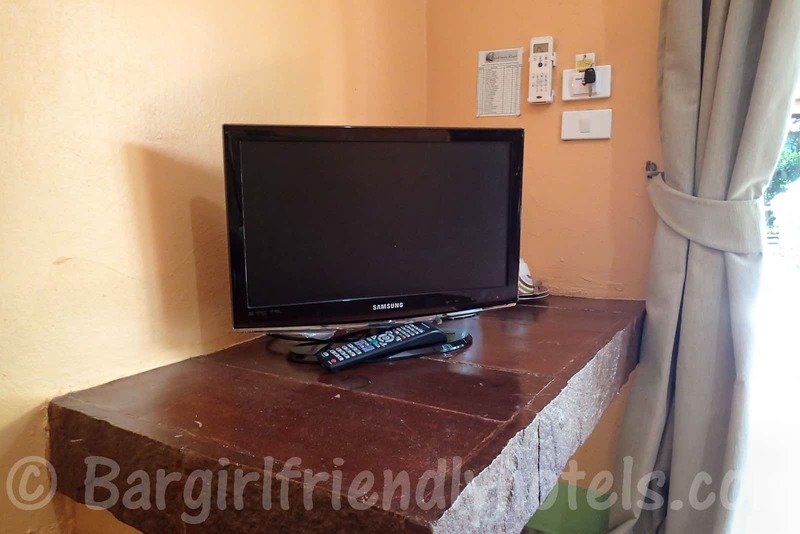 Got all you need in the rooms, TV and DVD, nice shower comfy beds, relatively modern and has good staff. 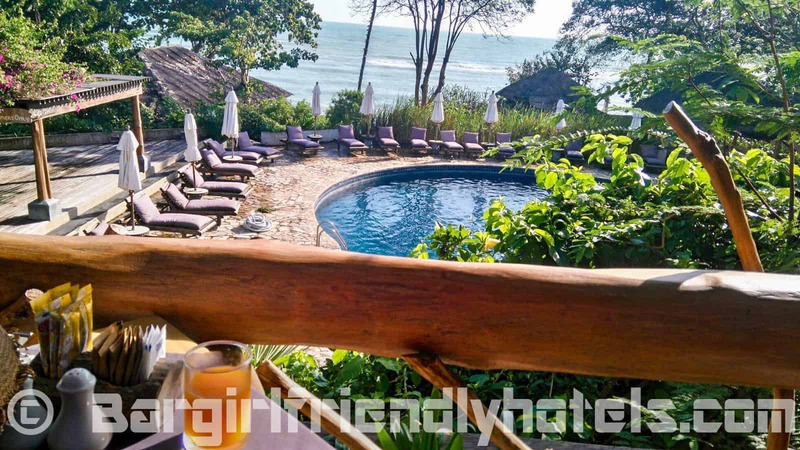 Guest Friendly policy reply by Lamai Wanta Beach Resort Resort: "We don't charge for joiner but we have to copy ID-CARD of joiner." Le Meridien Koh Samui is an absolutely stunning 5-star property located on the northern tip of Lamai beach. 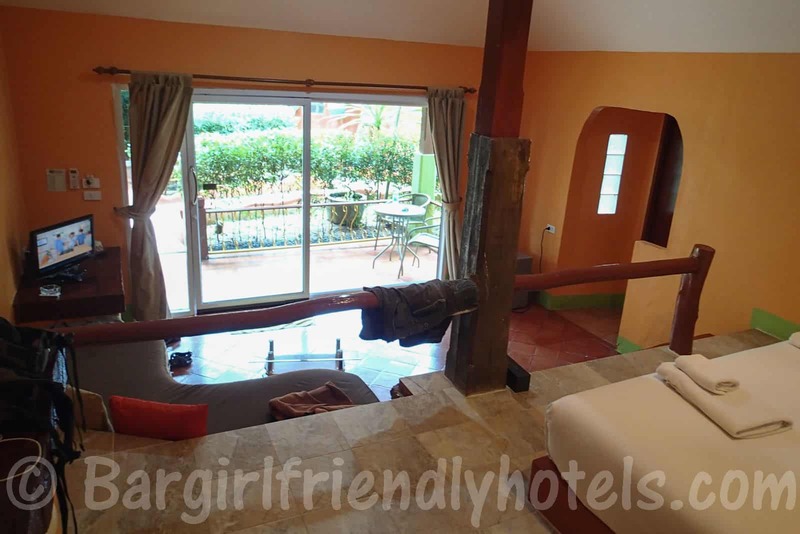 You can choose from a variery of suites that are all modern and luxurious. The Pool Access Suite is particularly attractive since the room opens up to your own outdoor private pool area with sunbeds. The cuisine is 5-star & staff are amazing. Highly recommended if it's in your budget range. Guest Friendly policy reply by Le Méridien Koh Samui Resort & Spa: "Thank you for your interesting to stay with us. No extra fee for the unregistered guest, of course, her ID is required." The Montra is a small boutique hotel that offers a collection of private and luxurious villas. 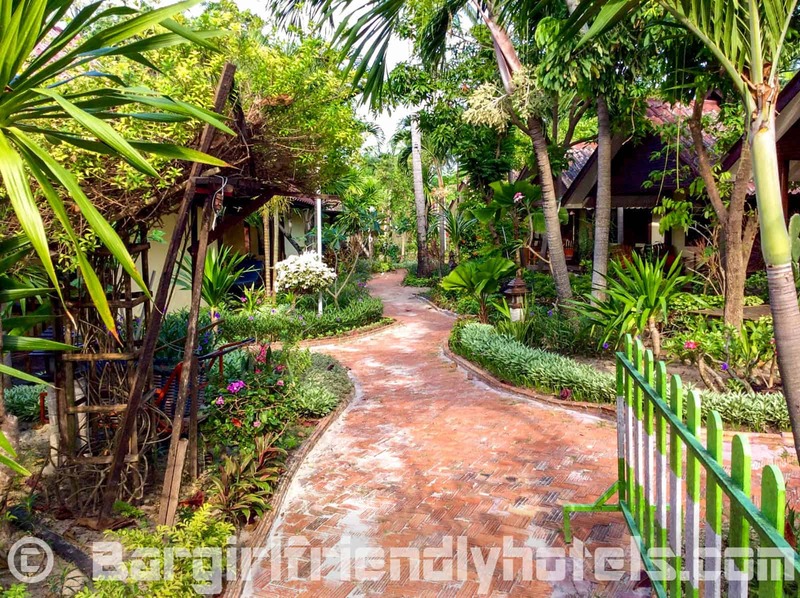 Located at the top of a hill it's about a 10 minutes walk to Lamai Beach. 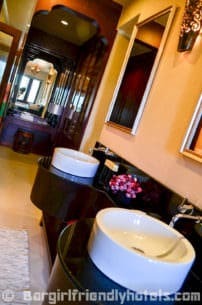 Villas are very spacious and each one has it's own living room, bedroom (king size bed), bathroom with bathtub & separate shower plus direct access to the pool which runs threw the garden and around each villa. Everything looks cosy and you'll feel right at home staying here. 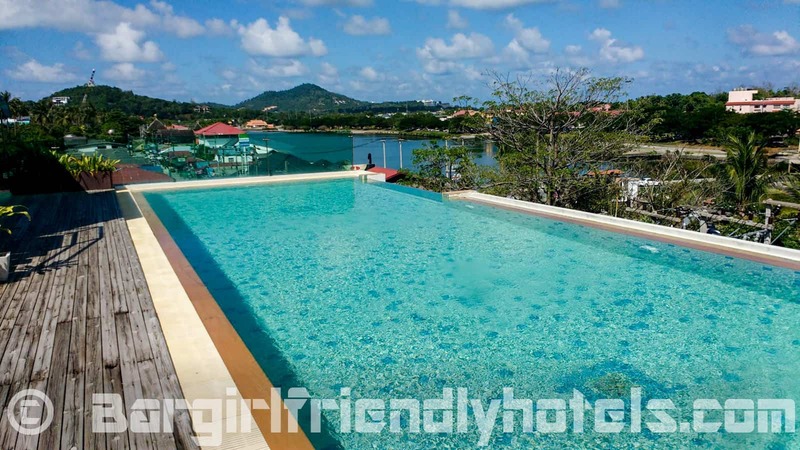 In the top 10 Koh Samui hotels according to Tripdavisor. Guest Friendly policy reply by the Montra Hotel: "May we inform you that room rate is base for 2 persons if you come to check in only one person. We allow you bring 1 joiner stay overnight but please leave her ID card at reception due of hotel policy. Best regards, Su." The Pavilion Samui Villas & Resort is a beachfront property located right in the middle of Lamai along the nicer part of the beach. The resort offers 70 rooms in four different categories: The Plunge Pool & Deluxe Jacuzzi rooms are in a main buildings while the Pool Villas & Hydro Pool Suites are free standing. 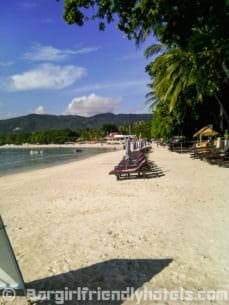 In a nutshell great across the board with nice clean rooms, beautifully manicured garden settings, excellent pool and bar area, great food and staff .While this resort isn't the newest in Lamai it is still in my opinion one of the best 4 to 5 star options along the beach. 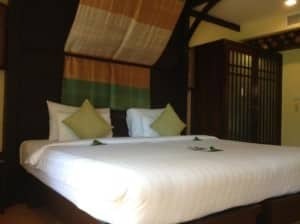 Guest Friendly policy reply by the Pavilion Samui Villas & Resort: " Have been booked for single or double? 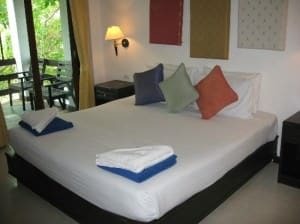 We have to charge for the 3rd person on THB 2000 net per night. 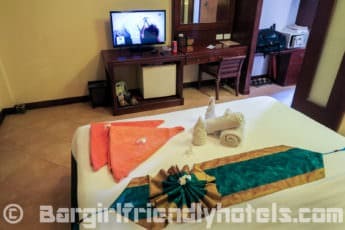 If you stay for single occupancy we can honor you for free joiner, but she have to leave ID card at the reception and hotel will not take any responsibility in case of incidental may occur. Thank you & best regards, Somphop Boonpairoje (Poo)." 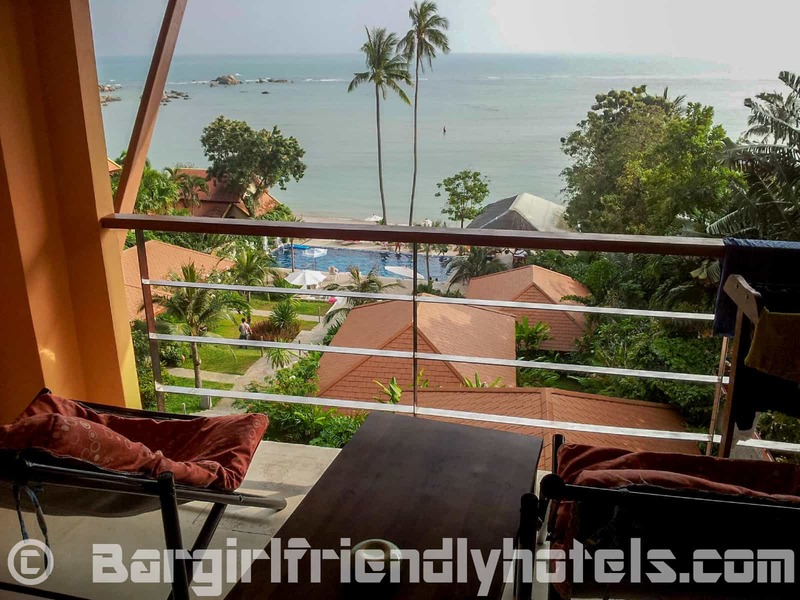 The Rich Resort Beachside Hotel is one of the least expensive accommodations along Lamai beach that you'll be able to book online. For 15$ (fan) to 30$ (Superior A/C) you can expect a clean room with: Sat-TV, fridge, safe, a hot shower & 2 free bottles/day. No in-room Wi-Fi but available for free at their bar just across the road. 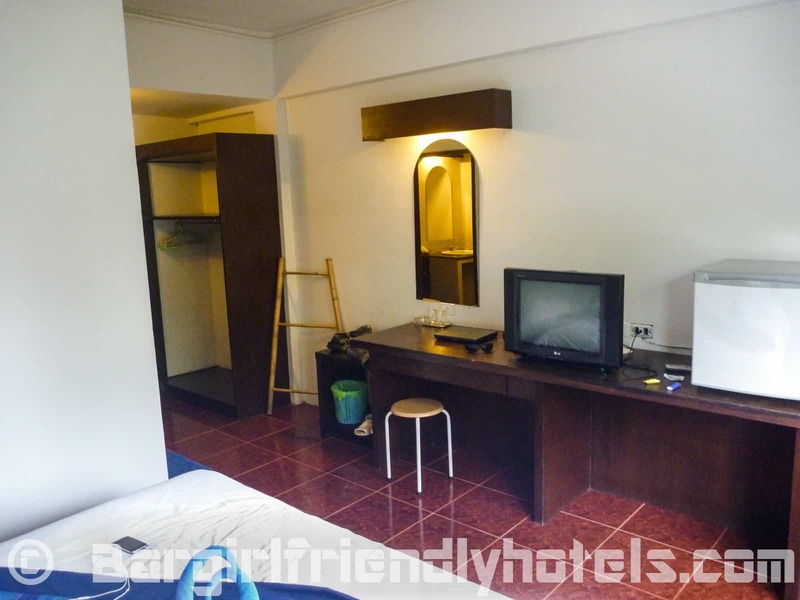 Good little no frills hotel for those on a tight budget only 5 minutes walk from Lamai centre. Guest Friendly policy reply by the Rich Resort Beachside Hotel: "Hello, no our resort has no joiner fee. The joiner just must leave Id card with security. Kind Regards, Tim Richardson. 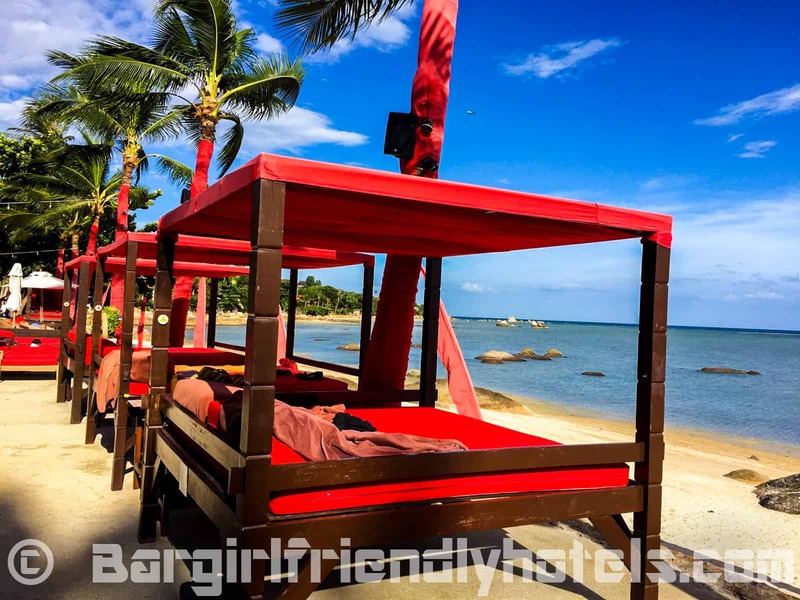 -Rich Resort Beachside Hotel & Swing Bar Samui." 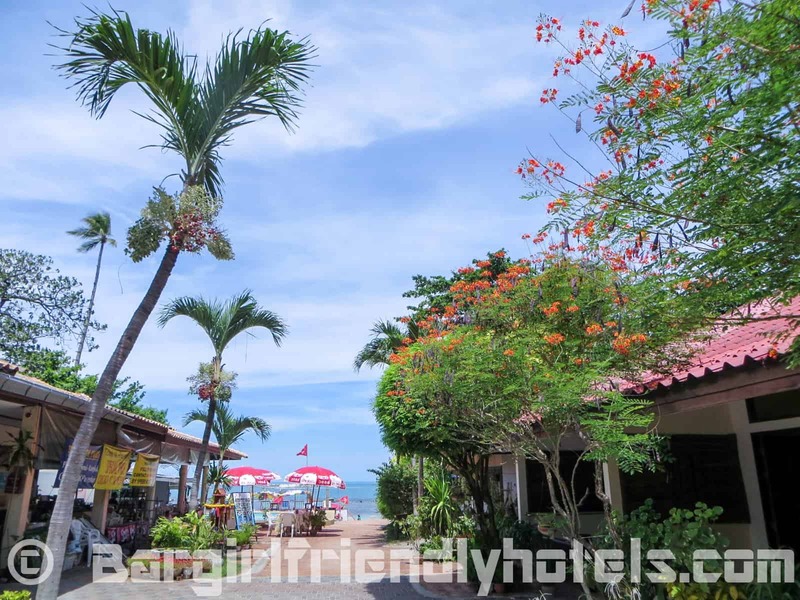 The Rummana Boutique Resort is a beachfront accommodation located at the Southern end of Lamai Beach about 500 meters from Grandfather & Grandmother Rock. 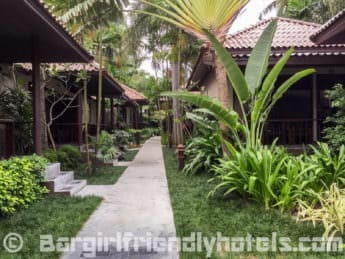 The resort is made up of a series of 40 bungalows (detached & semi detached) spread across a well manicured tropical gardens which are linked together through little pathways. 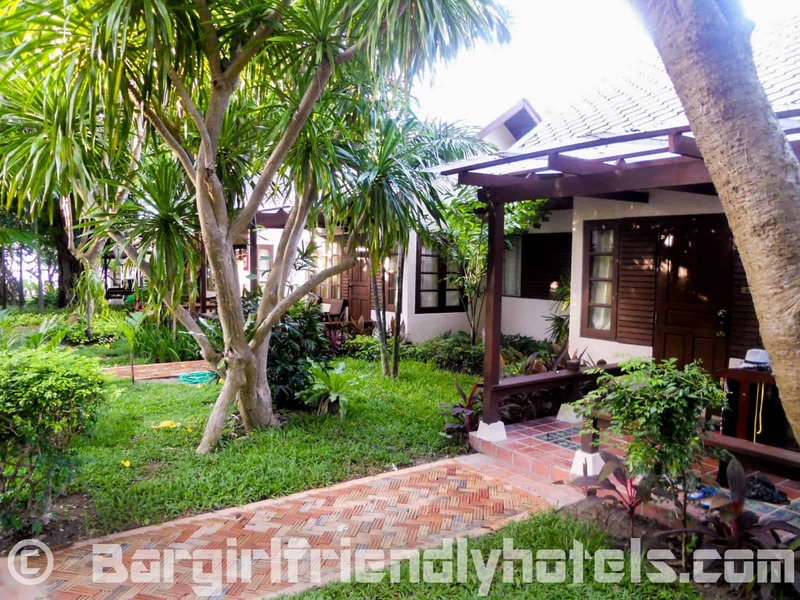 The Bungalows are very nice and spacious 4-star accommodations with everything clean and tidy inside. Few negatives: Beach is a little rocky be careful if swimming in rough weather. Wi-fi was weak at times in the room but OK in public areas. 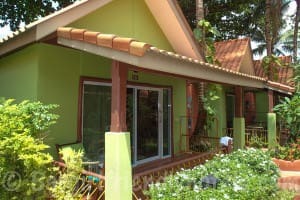 Guest Friendly policy reply by the Rummana Boutique Resort: "Thank you for your interest in our small boutique resort. We do not have a policy to charge a joiner only leave her ID card at the front desk for security report. Best regards, Suphawan Khunthong Ms. -Reservation." 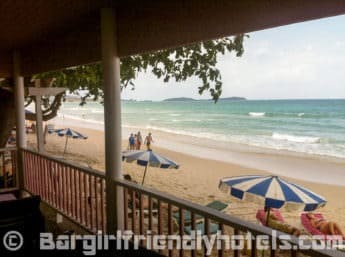 Samui Jasmine Resort is a small beachfront complex located on one of the best part of Lamai for swimming just a stone’s throw from the main strip so it's only a few minutes walk from the bars. Set among beautiful lush green gardens the Samui Jasmine Resort has lovely infinity pool overlooking the sea. 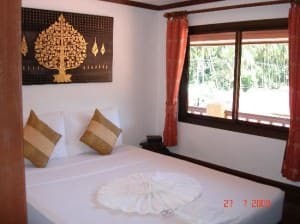 Rooms, which I would describe as 4-star are very modern and clean with some Thai style mixed in them. Positive: Beds are for once very comfortable. Negative: TV only had but just a few English speaking channels. Guest Friendly policy reply by the Samui Jasmine Resort: "Warmest greeting from Samui Jasmine Resort. We would like to inform you that for the Joiner We don't charge for Joiner Fee, Just leave her ID card at the Reception desk. Best regards, Ms.Orasa Tae-Sakun Reservation Dept." 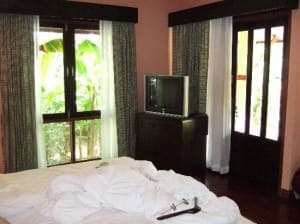 Just came back from Samui where I spent 4 days at Samui Laguna. 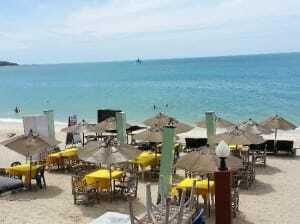 Location is great, very quiet at the beginning of Lamai Beach, beautiful water and nice sand. 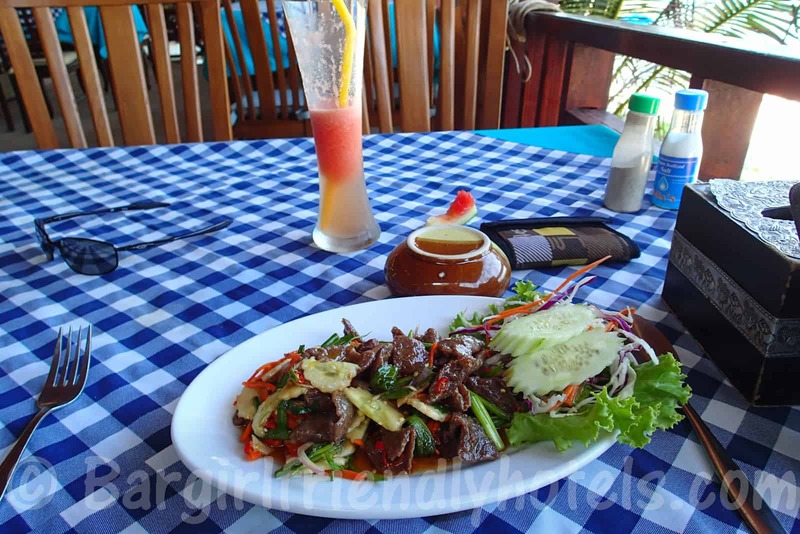 You can walk to Lamai with many restaurants, bars and shopping within 5 minutes. They offer Bungalows and rooms in the main building. 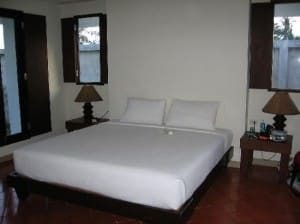 All rooms have been renovated recently. My bungalow was very nice, modern and appealing. 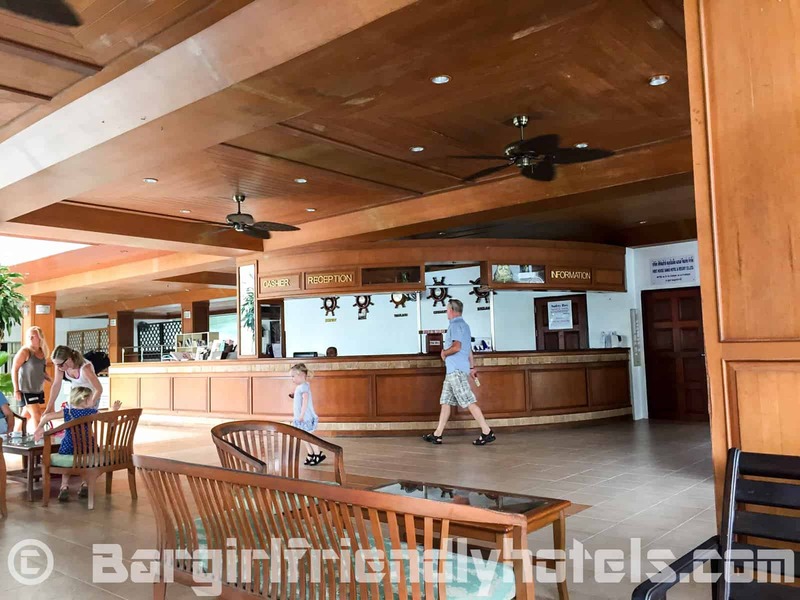 Guest Friendly policy reply by the Samui Laguna Resort: "We are pleased to received an email from asking this hypothetical question, to tell you honestly, there is NO ADDITIONAL FEES for those joiners of the room for the guest. The only thing they have to do is just leave their identification card here at the reception. Have a wonderful day ahead! Sincerely yours, Ahmie." 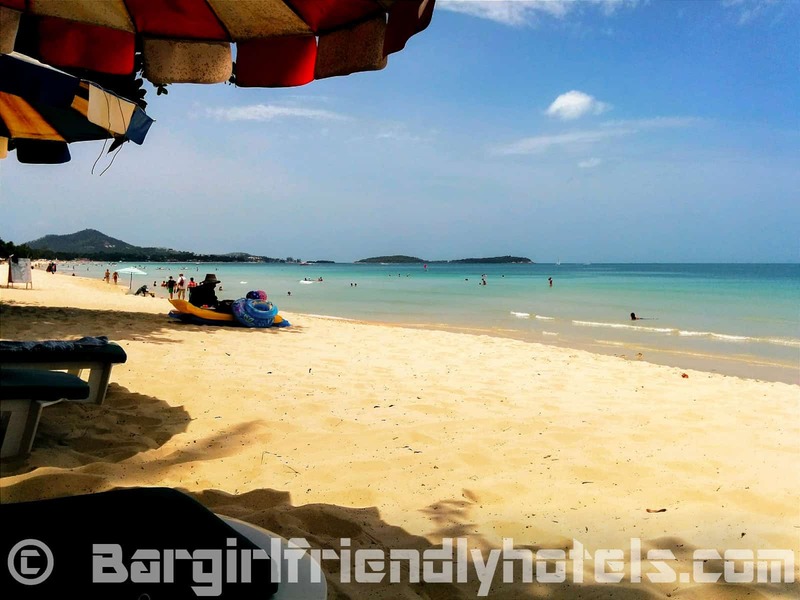 The Samui Beach Resort is a great little place for budget travelers situated at the southern end the Lamai beach next to the grandfather and grandmother rock. 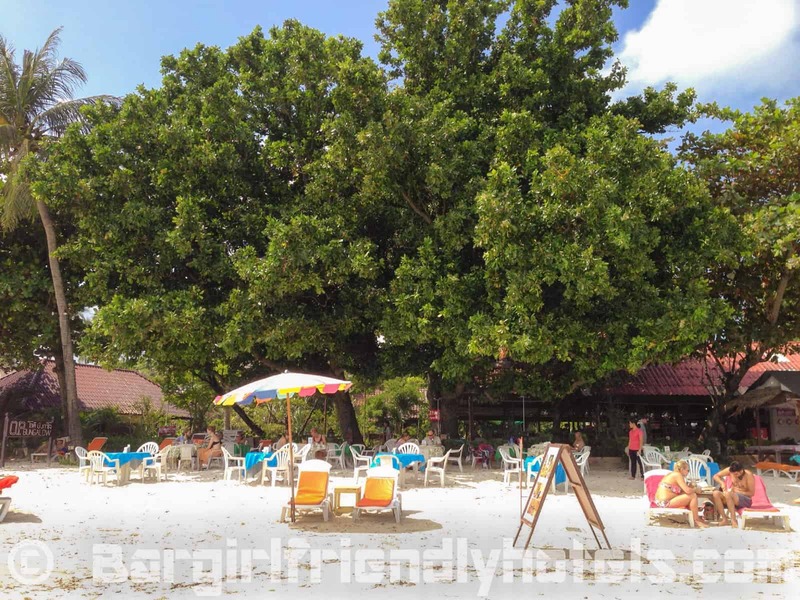 The resort is well maintained and has a pool with sunbeds, not the biggest but clean and nice to have, free sunbeds are also available on the beach. 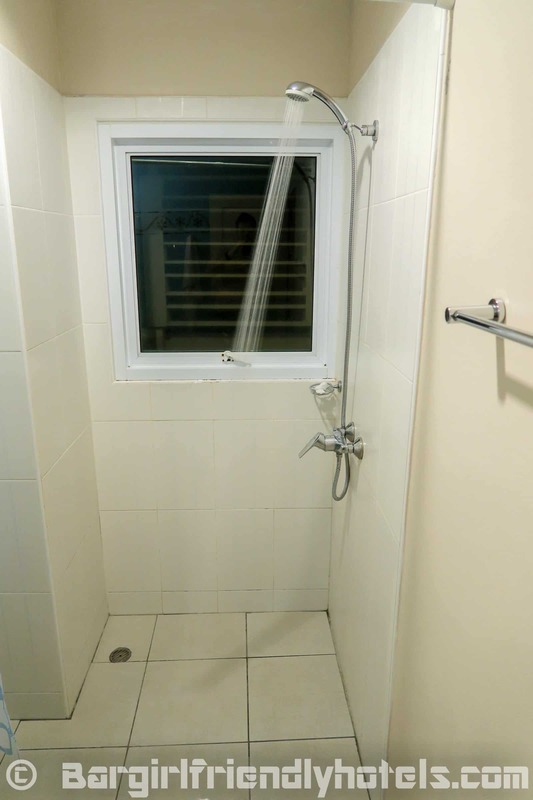 The fan rooms are cheap but very basic with just the shower and Wi-Fi access. 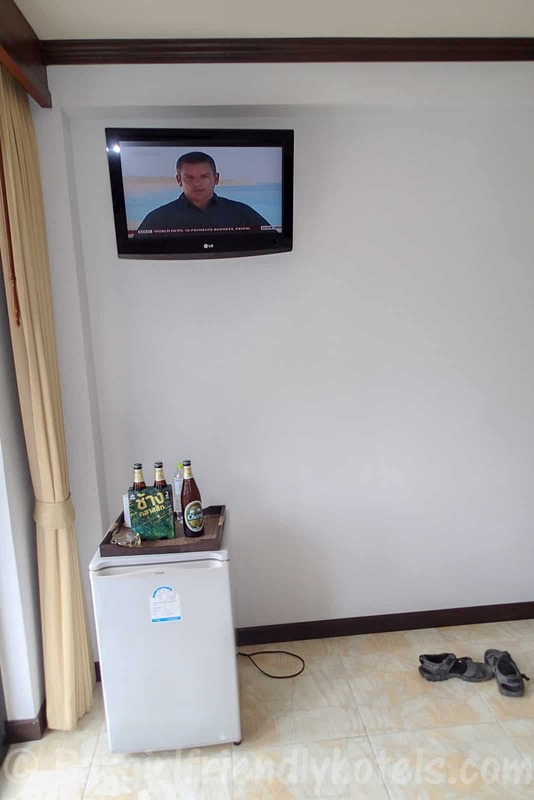 Unless you are on a very strict budget I suggest the A/C Rooms for a bit more space and comfort (flat-screen TV, fridge, coffee/tea making facilities, balcony). Positives: Beachfront location, price, clean rooms. 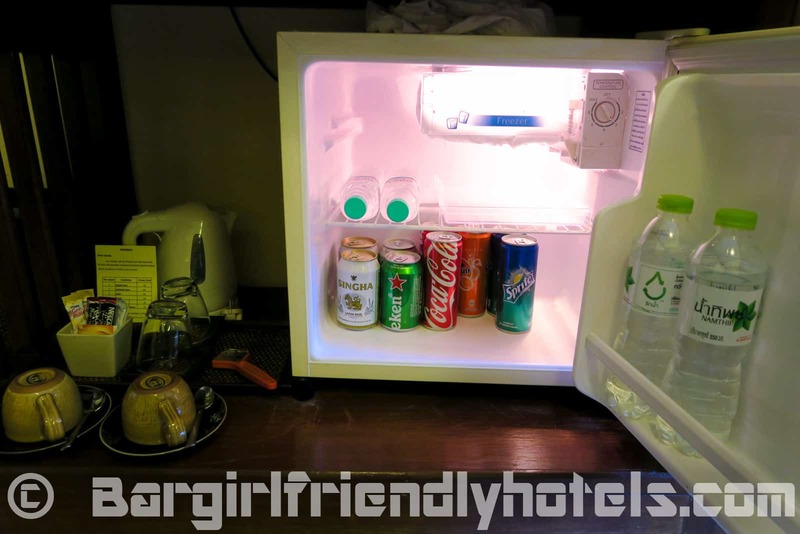 Negatives: Food at their restaurant & Wi-Fi unreliable in room at times. 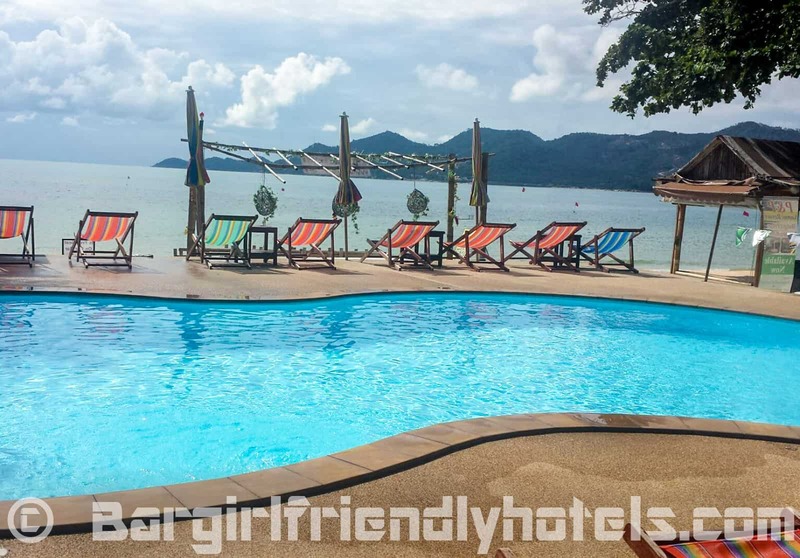 Guest Friendly policy reply by the Samui Beach Resort: "Of course no problem to take female guest to the room, also we do not check the ID cards. 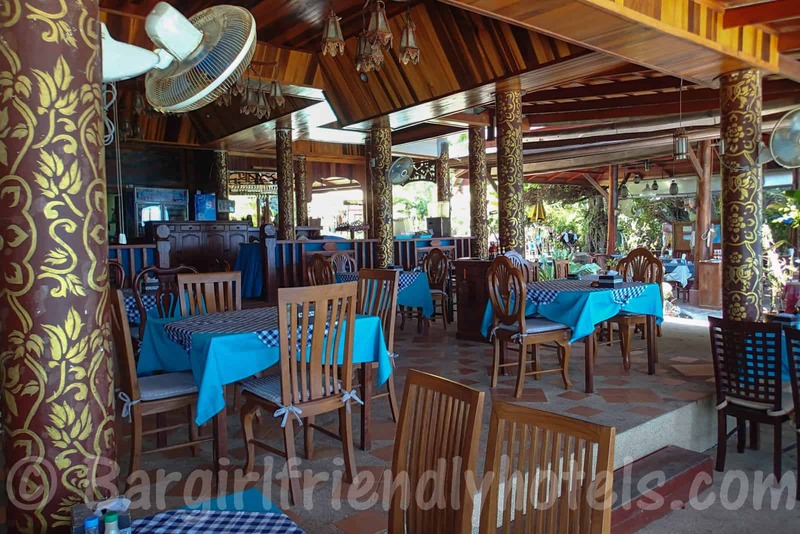 Greeting’s, Yves"
The Samui Seabreeze Place is located just across the road leading to the beach and 2-3 minutes walk from Hat Lamai road and it's nightlife. 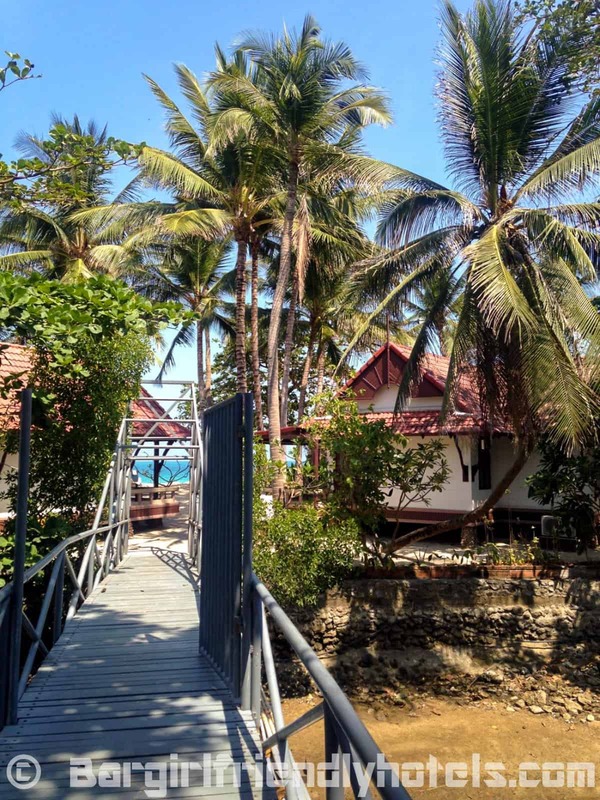 The resort is made up of two distinct parts: You have oldish type bungalows on the beach side and a newly build three story high building with around 15-20 rooms on the road side. 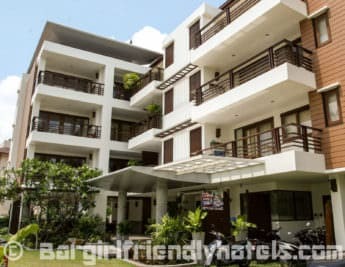 The rooms in the newer part are spacious and clean equipped with good bedding, A/C, TV, fridge, safe, free wi-fi and balcony overlooking the pool. They also have their own restaurant right on the beach where the free breakfast is served. For a hotel at this price range it's not a bad deal. 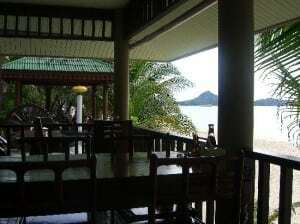 Guest Friendly policy reply by the Samui Seabreeze Place: "Our hotel not charge you only have to leave id card. Best regards, Ananya." 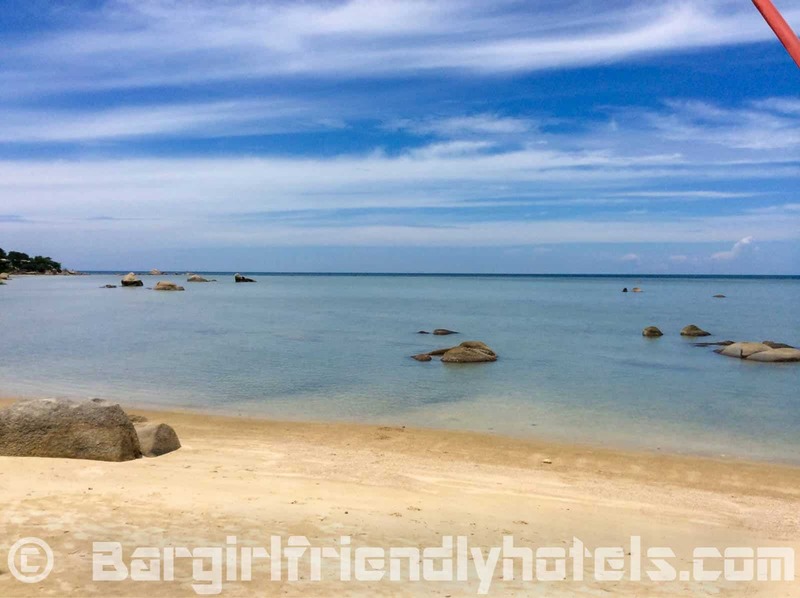 The Sand Sea Resort & Spa is located along the quieter northern side of Lamai beach which is divided in two by a small stream inlet just next to the it. 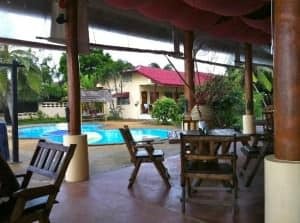 The resort is pretty and feels secluded, has a nice little pool, bar and restaurant and best of all is right on the beach. Rooms are good and cleaned daily. 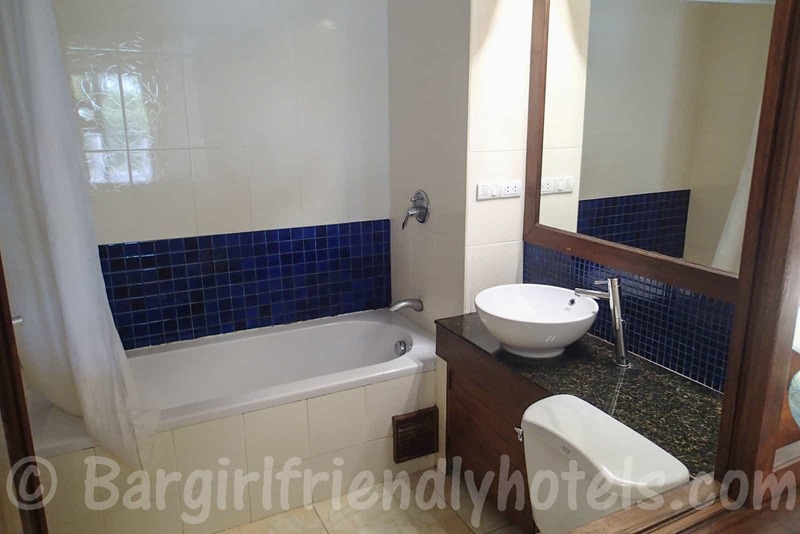 The superior and deluxe rooms offer a bathtub instead of just a shower of the smaller standard ones and if money is no issue you can have as look at their pool villas right on the beach with a large private pool, Jacuzzi and modern equipment. 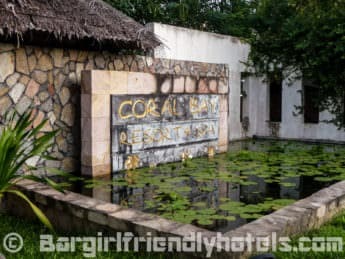 Downside: When walking on the backside of the resort there were some swampy smell coming from a drain and creek nearby but gladly it didn't reach our room, restaurant or the beach. 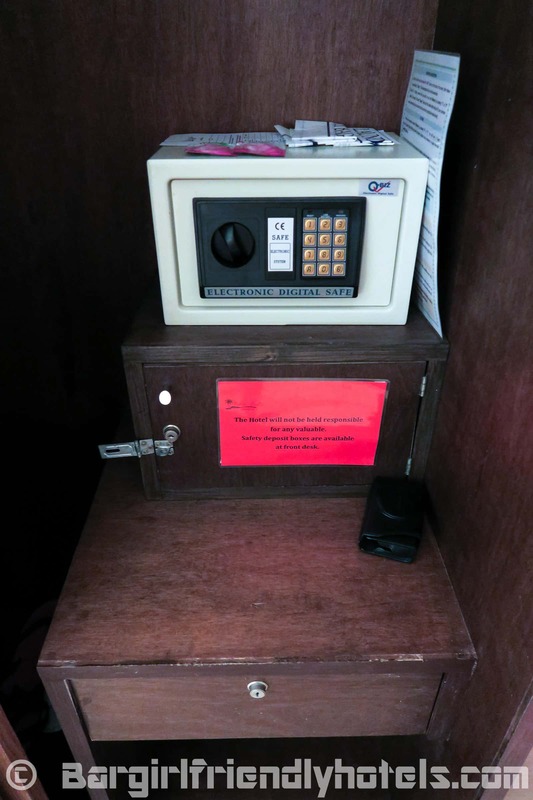 Guest Friendly policy reply by the Sand Sea Resort & Spa: "We don’t charge joiner fee, but as you understand correctly, we require an ID card of the joiner for your own safety. Thank you very much. Best Regards, Ramida Pulpol. 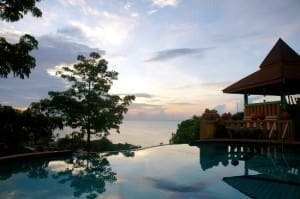 General Manager"
The Seaview Paradise Beach and Mountain Holiday Villas Resort is made up of two distinct parts offering either spacious modern villas right on the beach or mountainside apartments with 1 or 2 bedrooms and spectacular views. 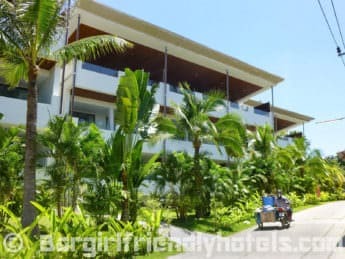 The beachfront villas, over 75 square meters area each, are the most expensive and come with two bedrooms, living room, kitchen, dining room and large outdoor balcony with deck chairs. 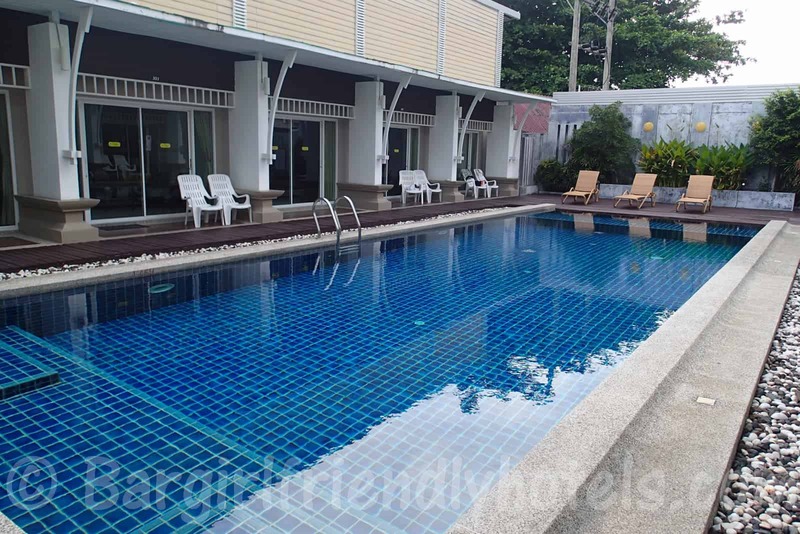 The hilltop villas offer similar comfort but they also have a cheaper 1-bedrooms apartments on a lower level in the 50$ range that is great value for money, it's smaller at 30 square meters but they still offer good views over Lamai from the large balcony and the infinity pool on the highest level is incredible! 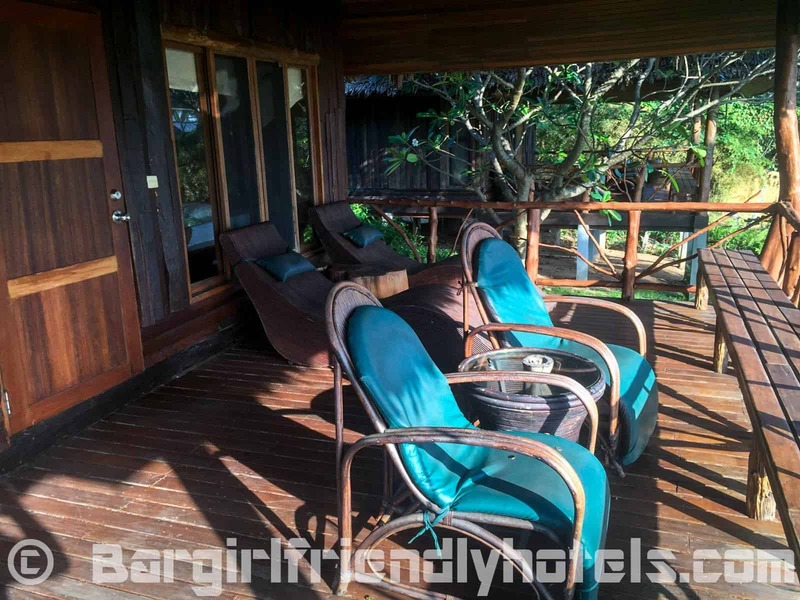 Guest Friendly policy reply by the Seaview Paradise Beach and Mountain Holiday Villas Resort: "No problem with bringing a friend with you assuming the quiet times on our property 11PM-8AM are observed. We look forward to having you with us. 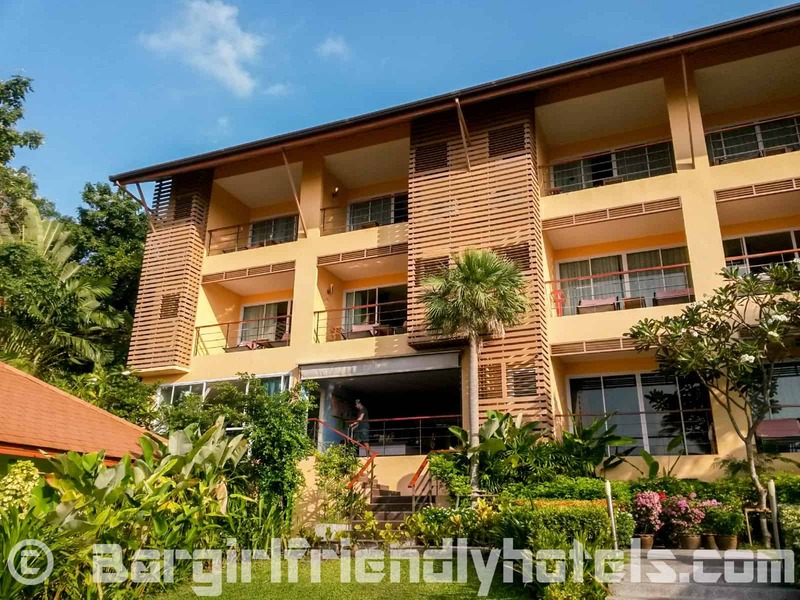 Best regards, Gary Squires Seaview Paradise Beach & Mountain Holiday Villas Resort"
The Varinda Garden Resort is a peaceful property perched on a hilltop overlooking the sea surrounded by tropical gardens about 5-10 mins walk to Lamai town & beach. They have a nice Infinity pool, restaurant and bar with a lot of lounging areas with chairs, cabanas and hammocks. 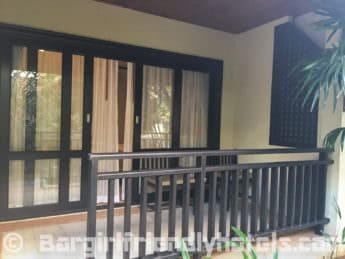 The bungalows have their own balcony with table & chairs which are surrounded with thick shrubbery making it very intimate and private from each other, never heard anything coming from neighbors. 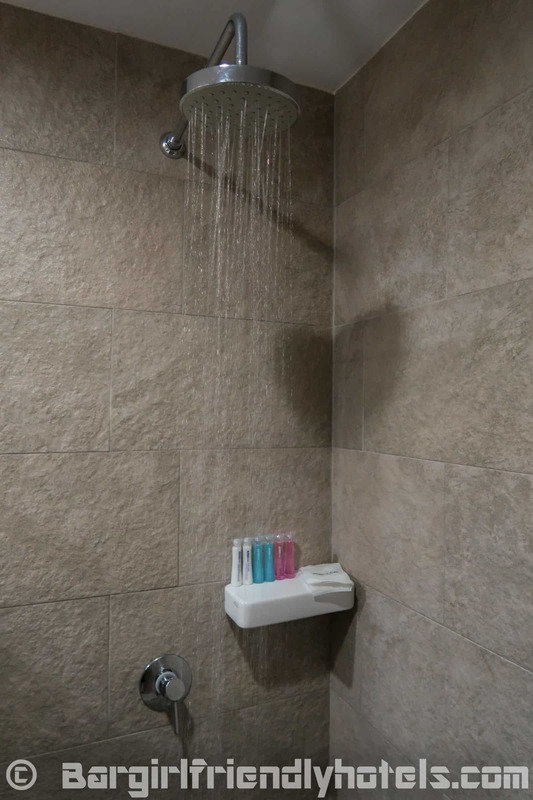 Rooms are spacious and properly equipped with big beds, fridge, cable TV, safe, coffee, separate shower and tub, coffee/tea maker and lots of seating areas. Negatives: Bad in room Wi-Fi reception (OK at or near plublic areas), hard beds. 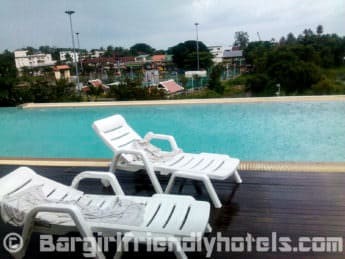 Guest Friendly policy reply by the Varinda Garden Resort: "The room price for 2 persons and if you are only one guest you can bring them with out any fee. But please be aware of your valuable. Wish you have a nice day. Best Regards, Thada"